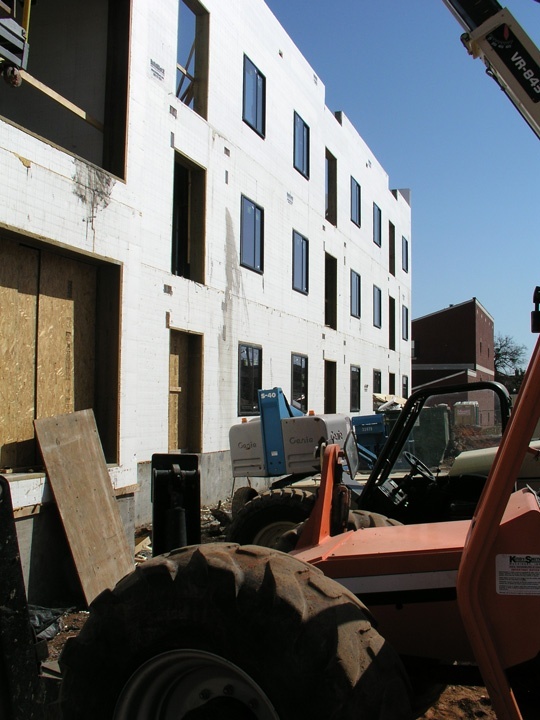 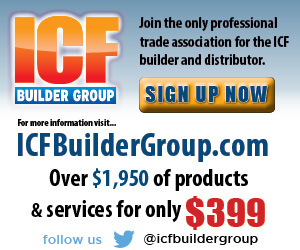 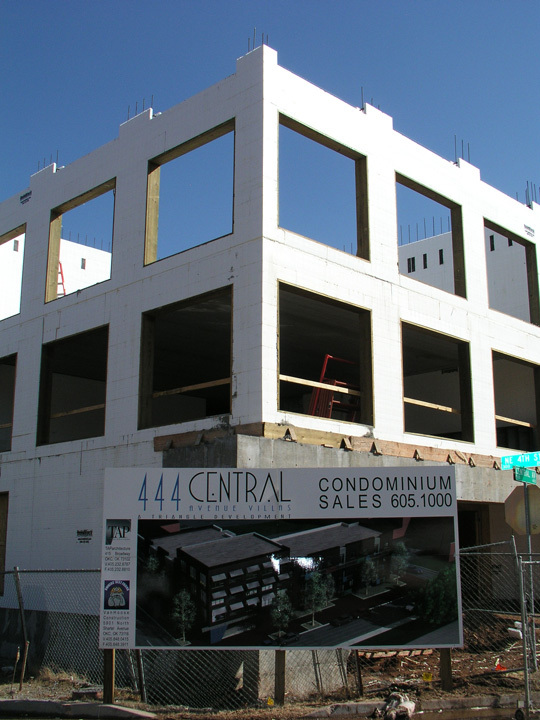 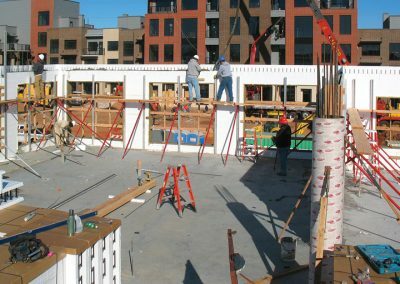 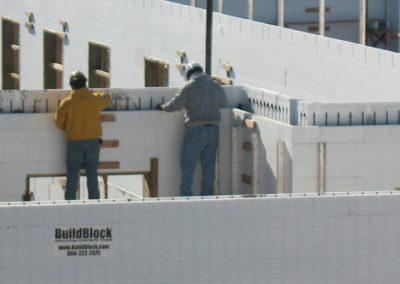 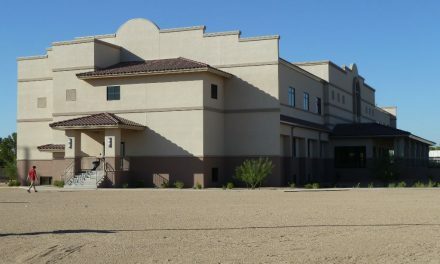 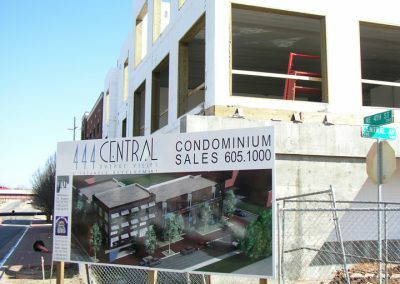 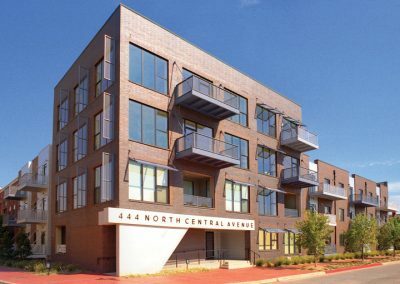 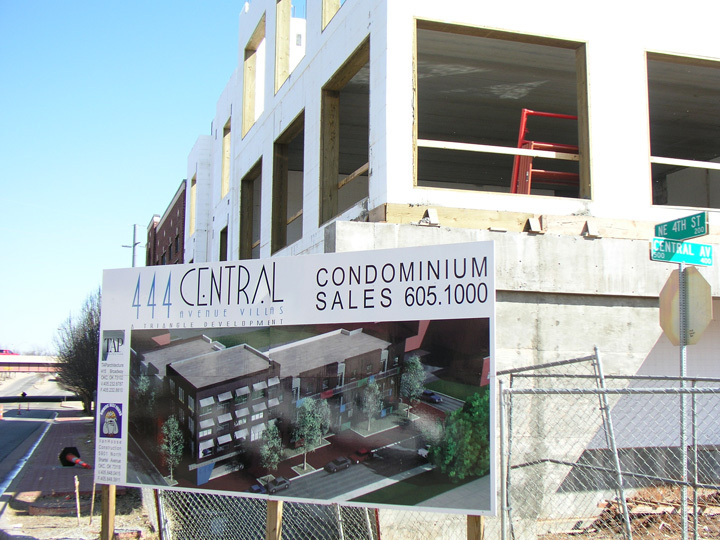 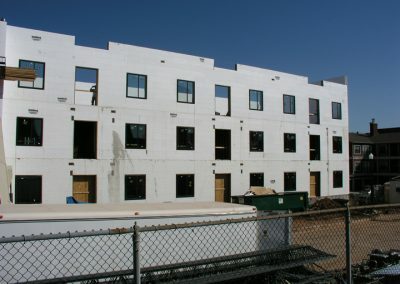 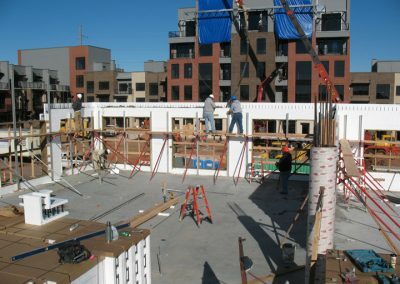 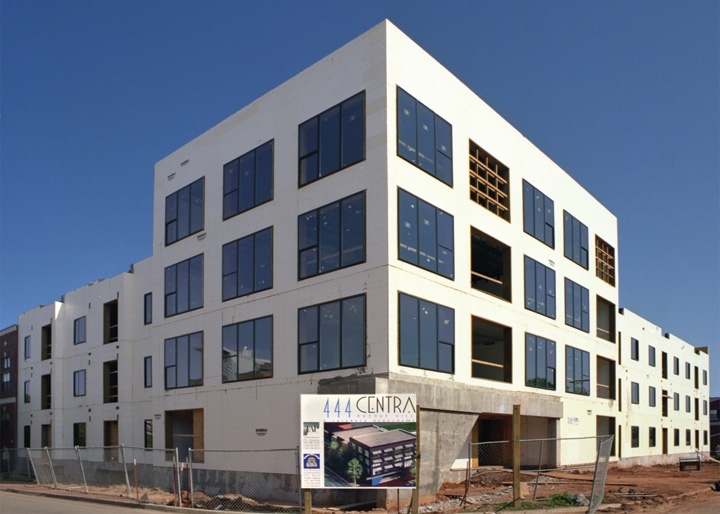 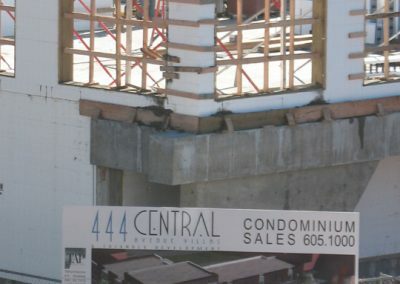 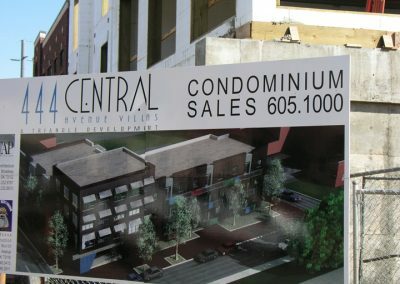 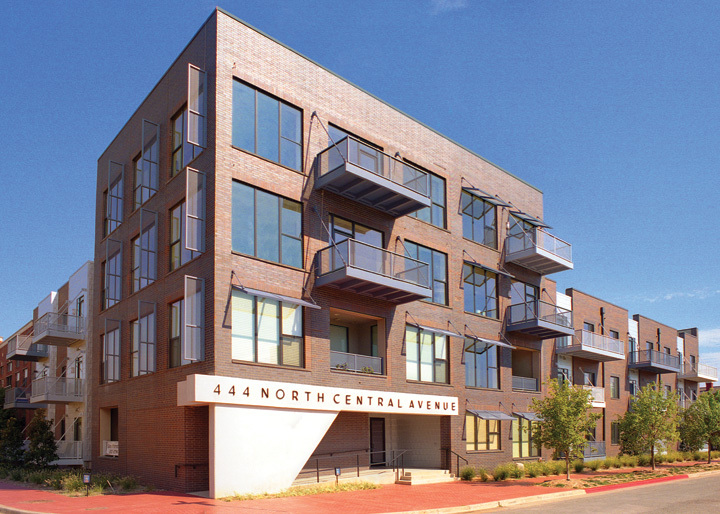 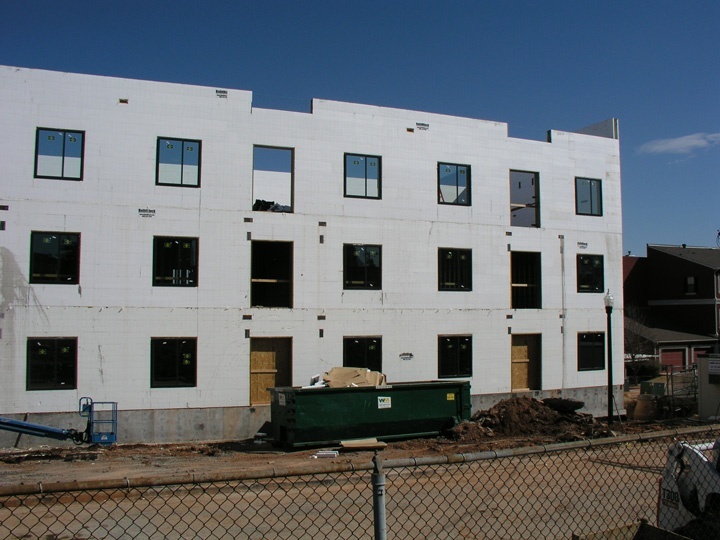 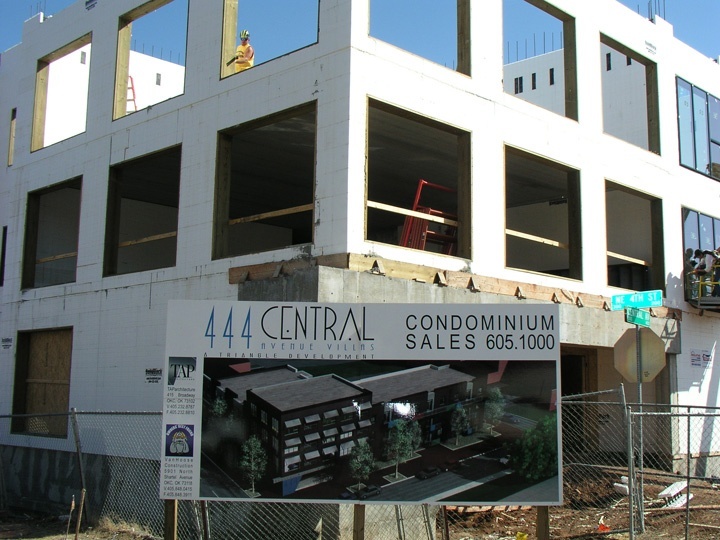 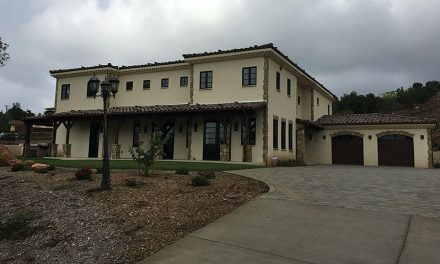 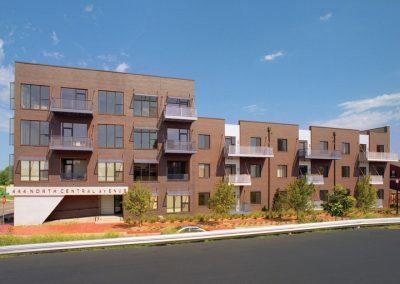 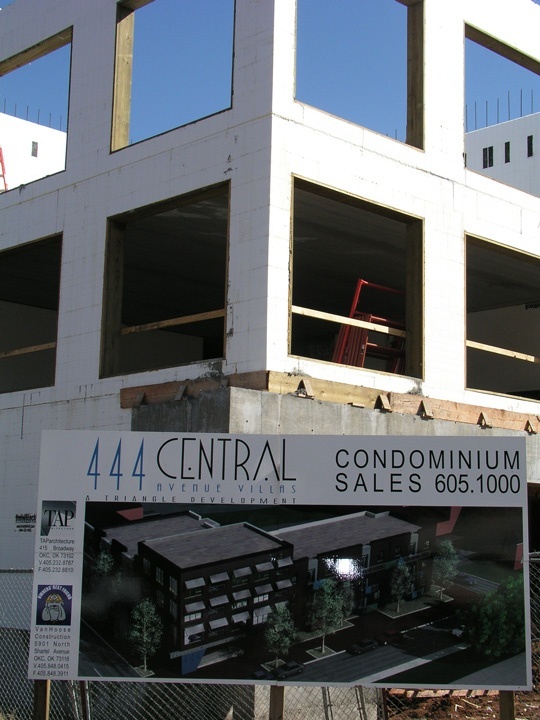 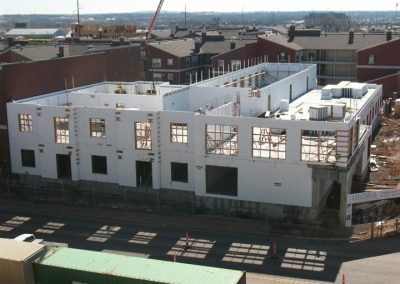 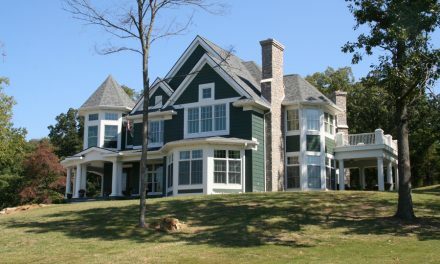 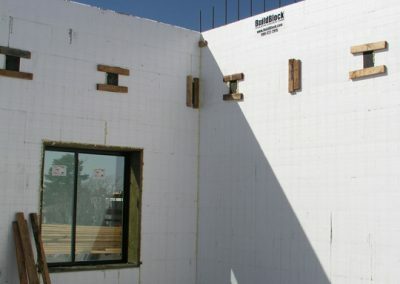 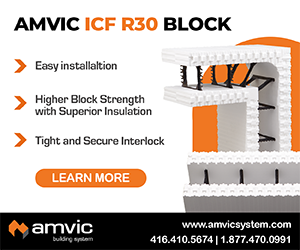 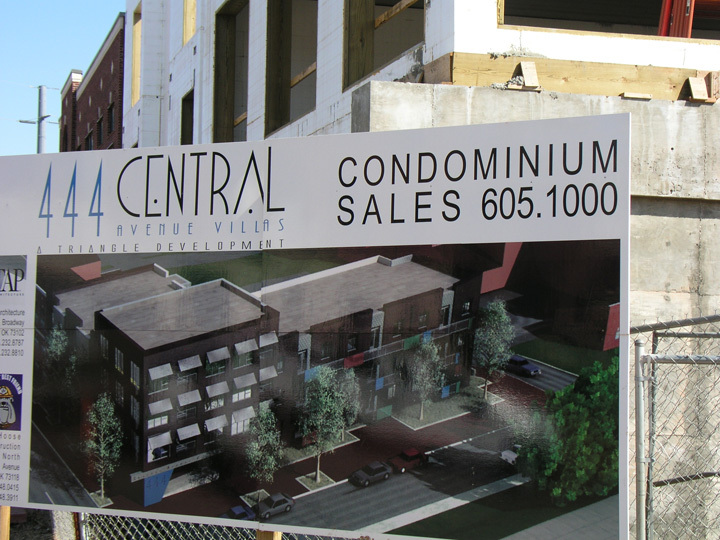 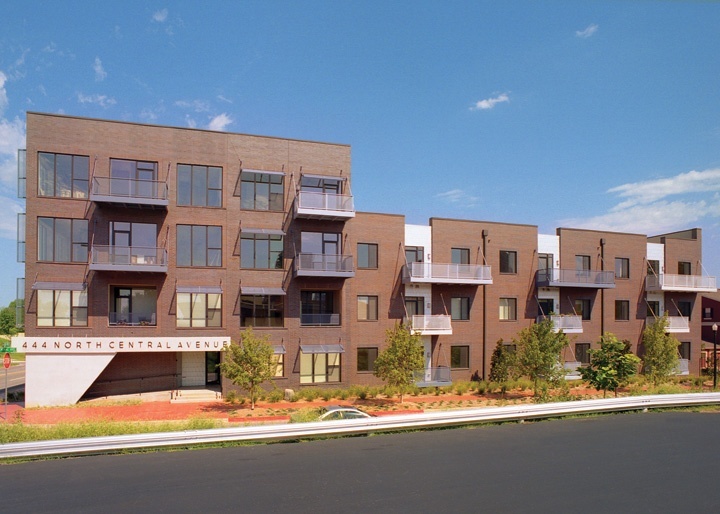 Central Avenue Villas is three-story condominium complex that shows how intensive ICF use can solve construction challenges and help recoup construction costs by getting tenants into the building sooner. 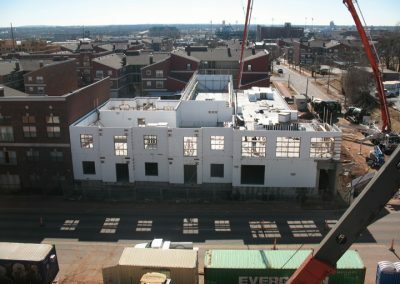 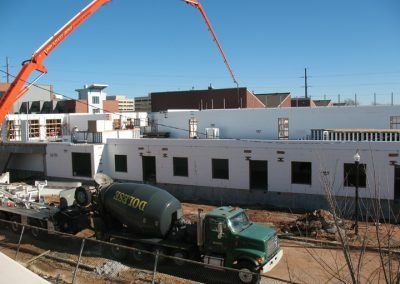 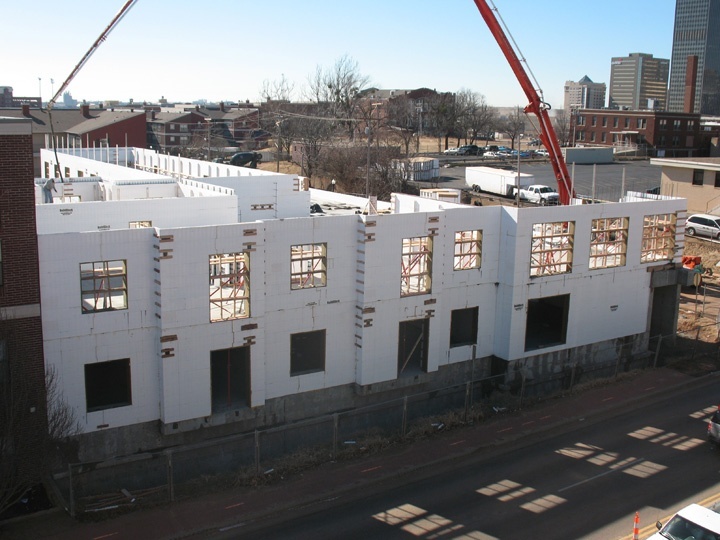 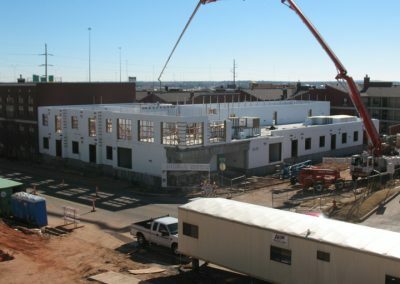 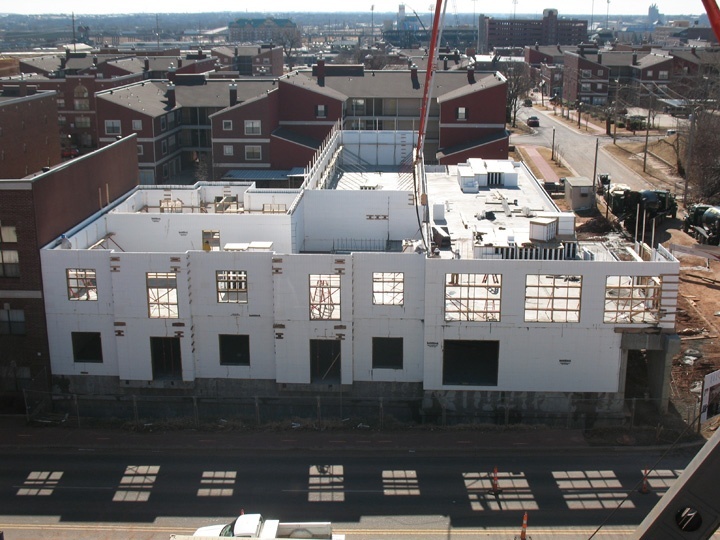 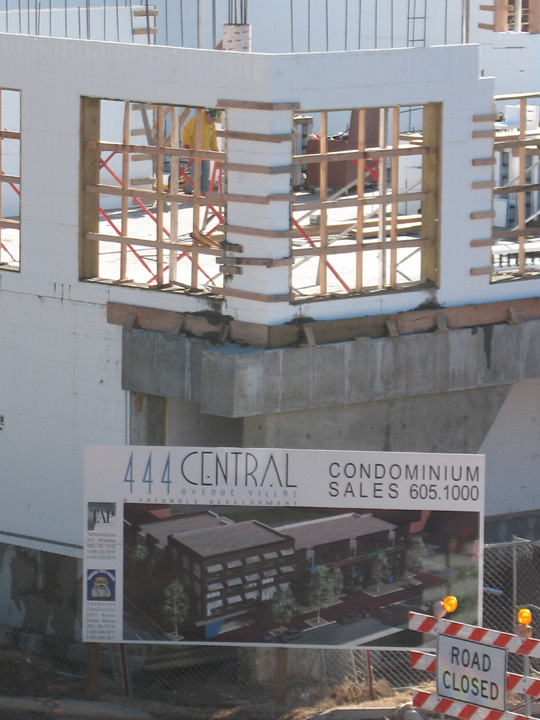 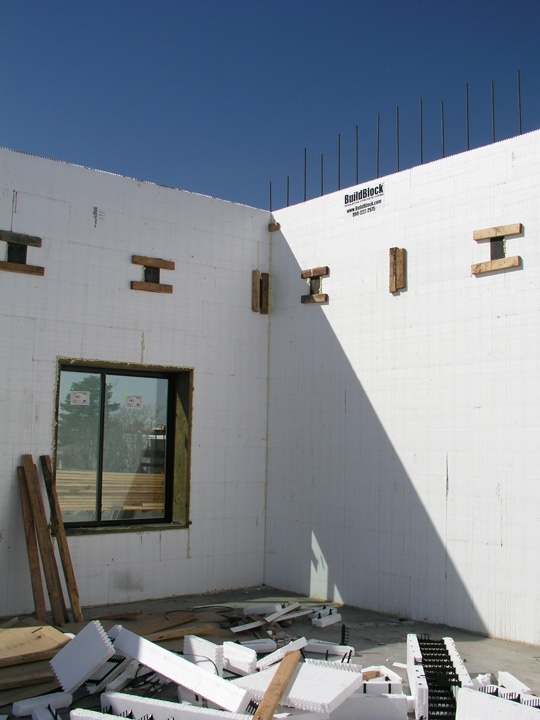 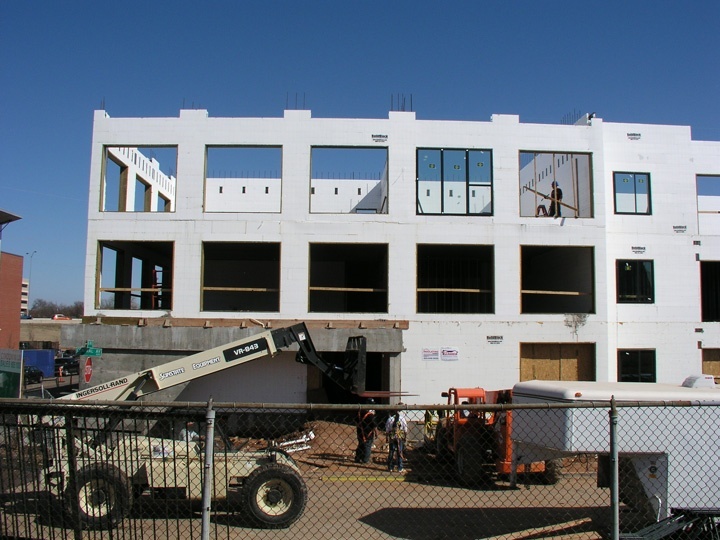 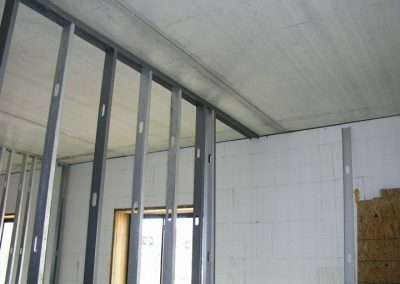 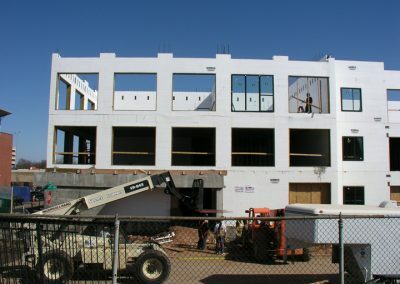 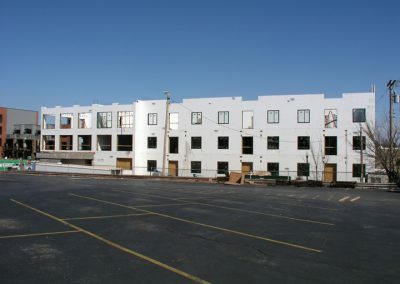 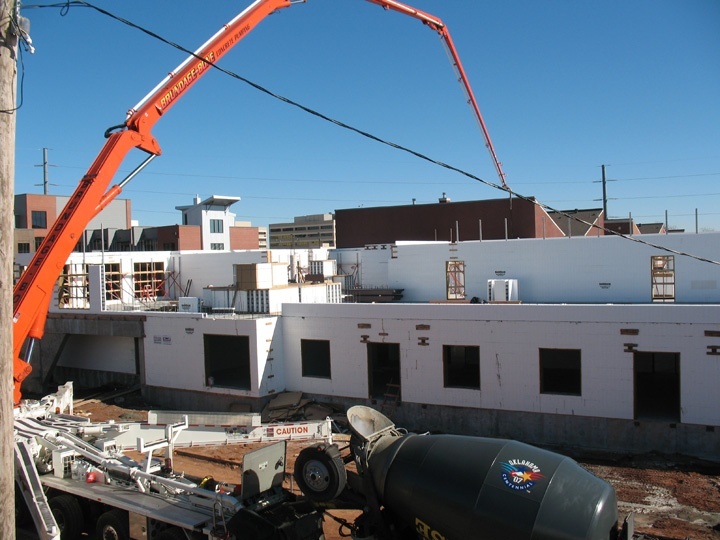 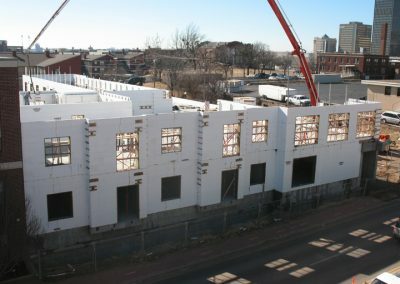 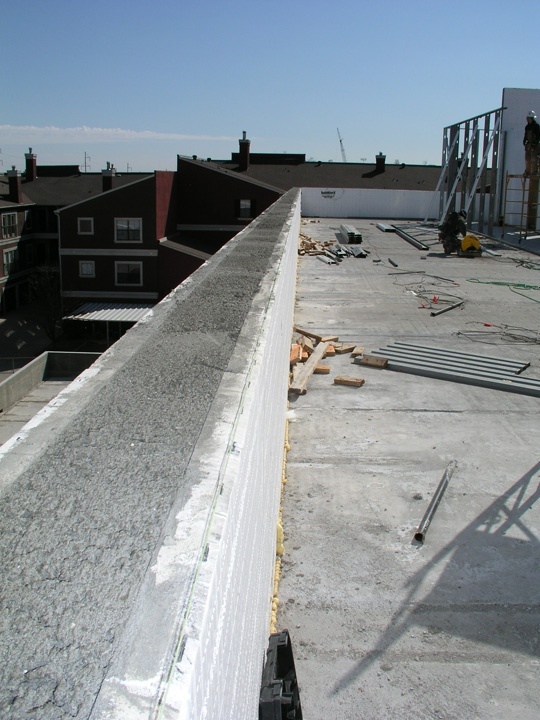 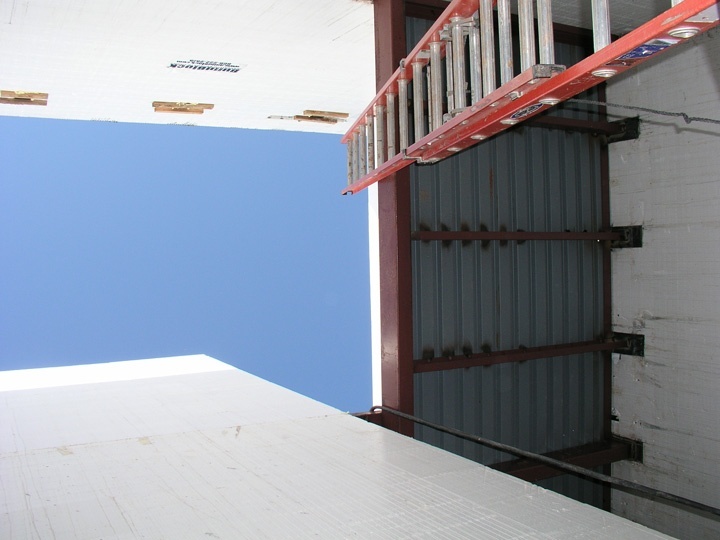 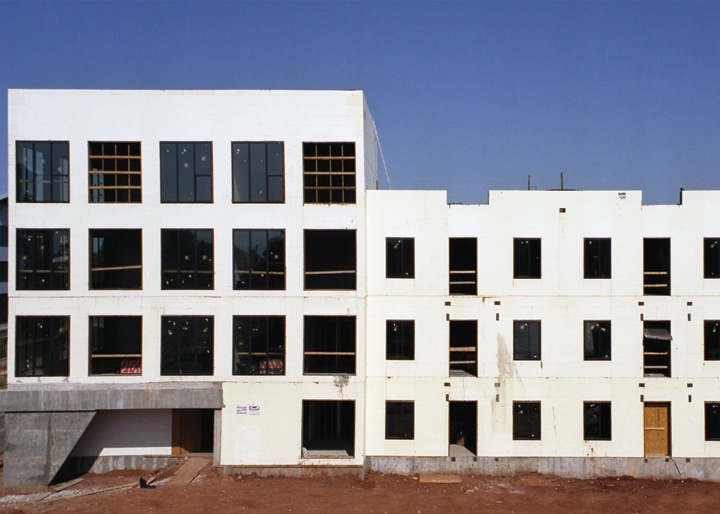 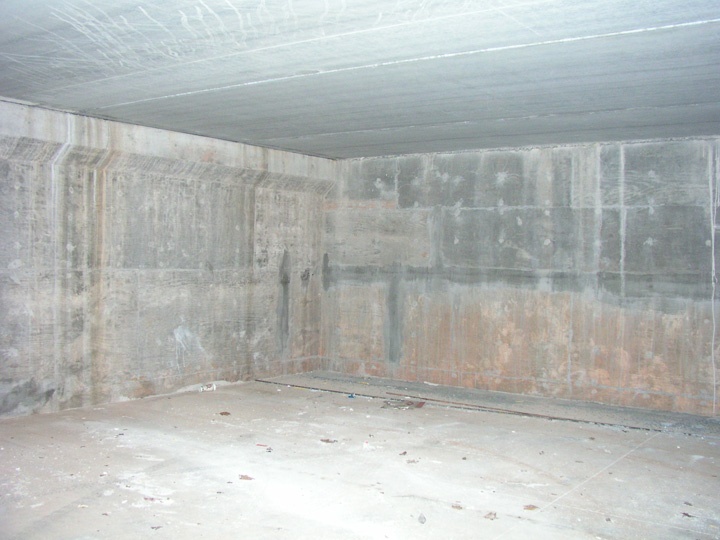 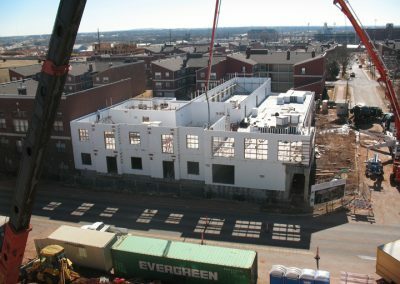 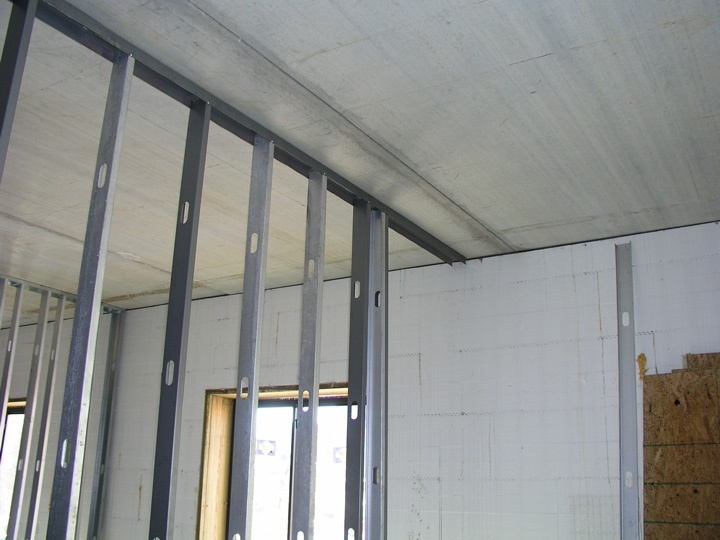 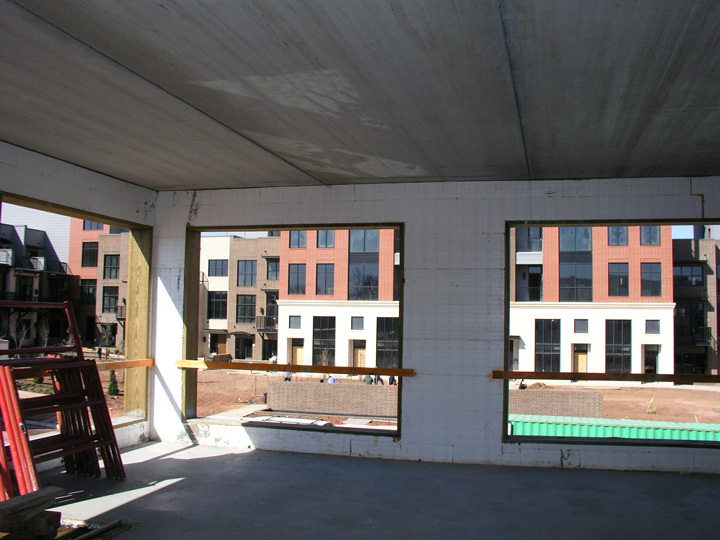 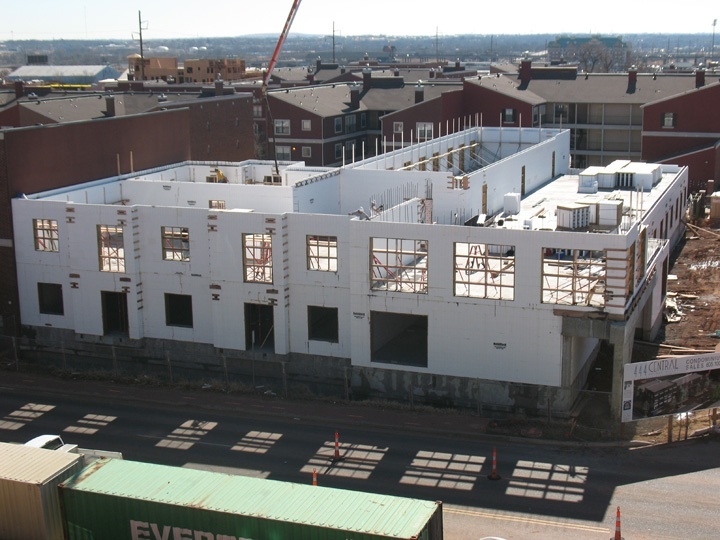 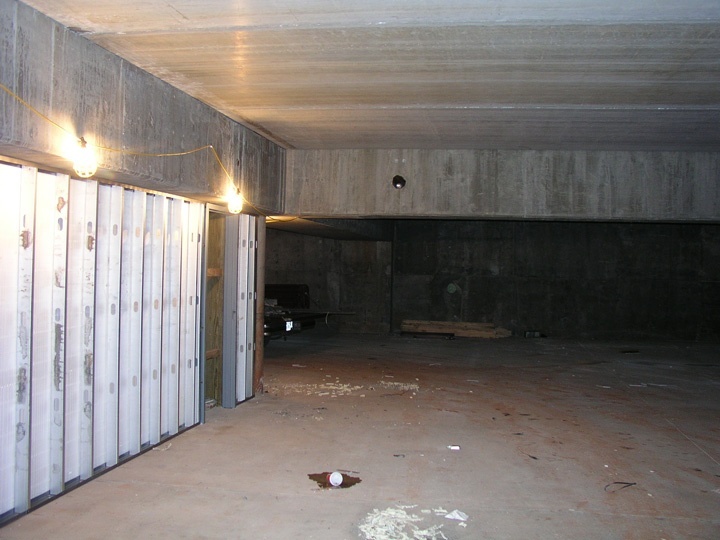 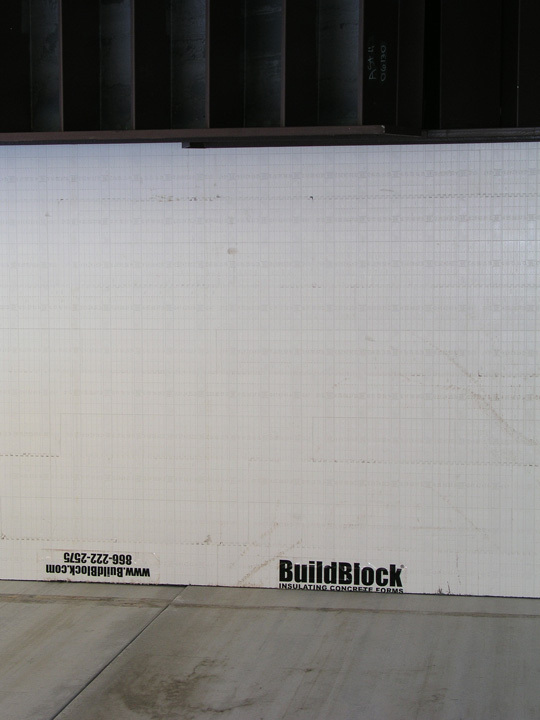 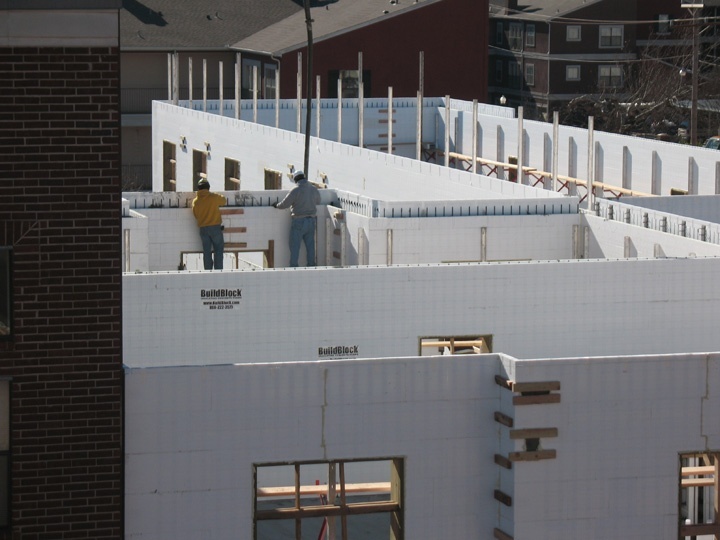 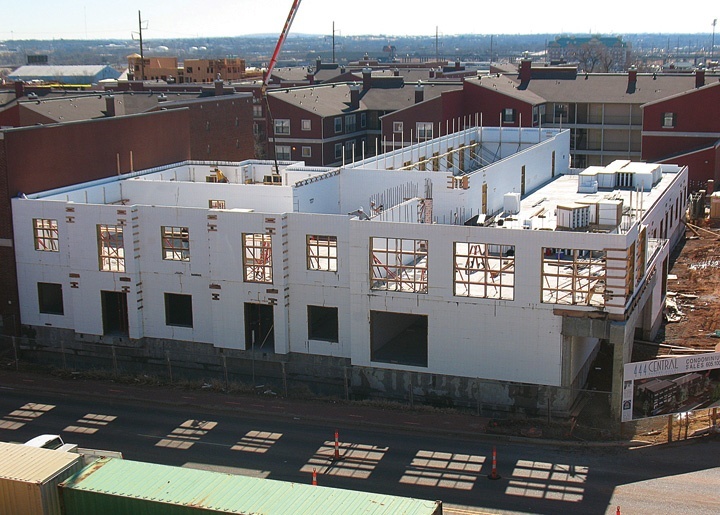 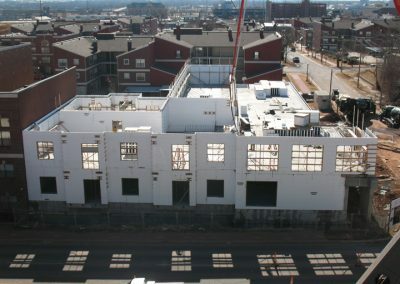 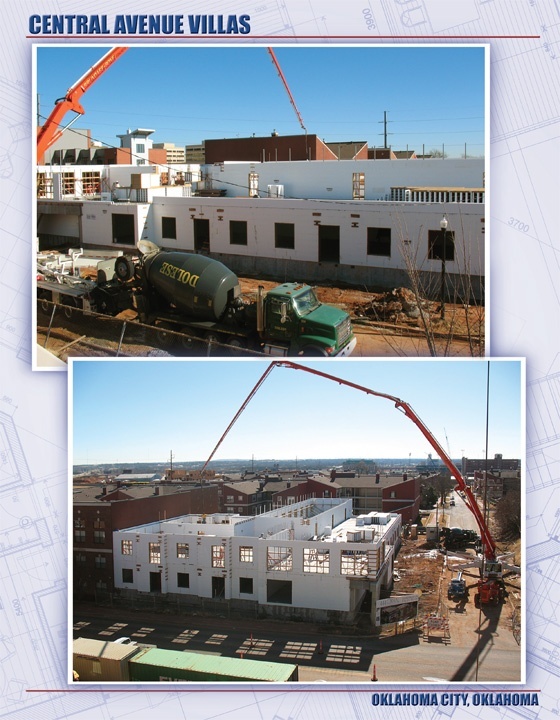 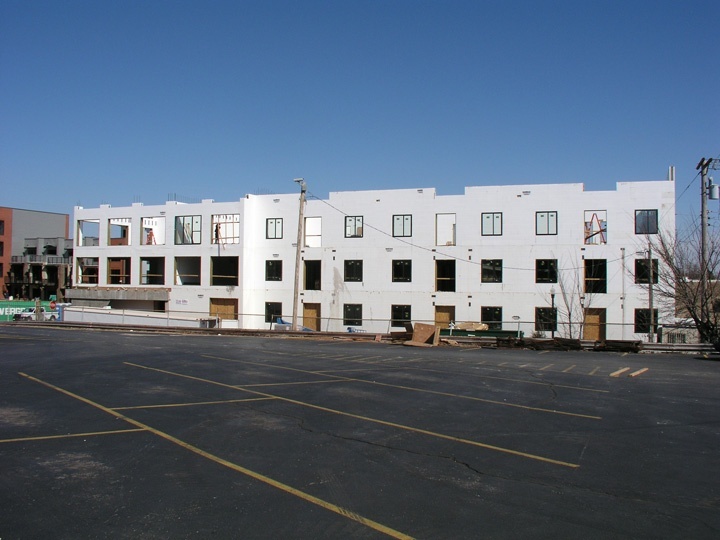 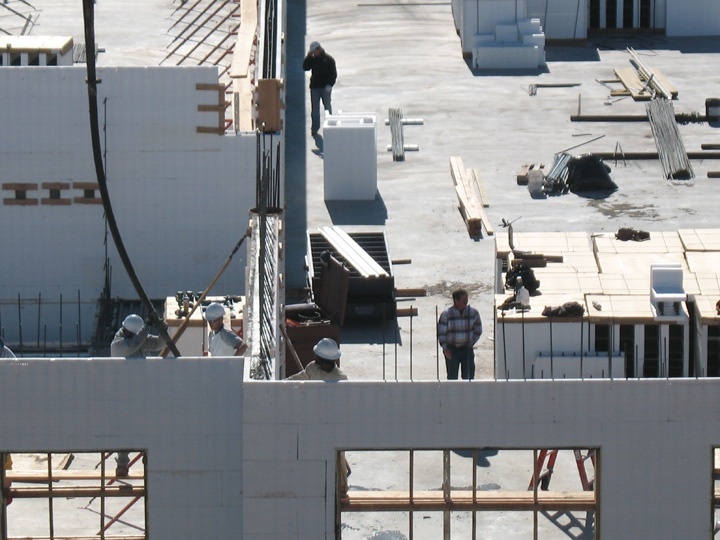 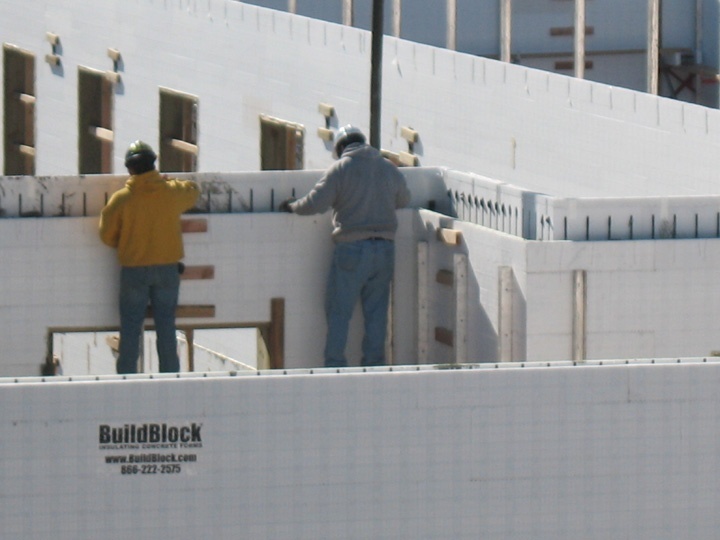 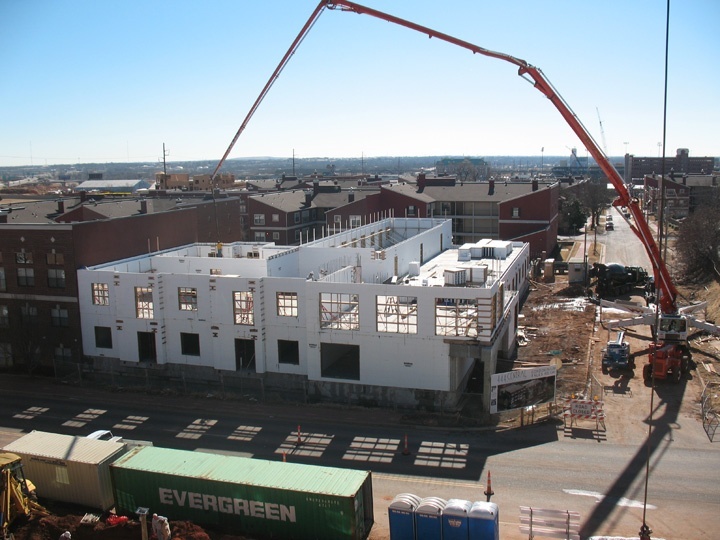 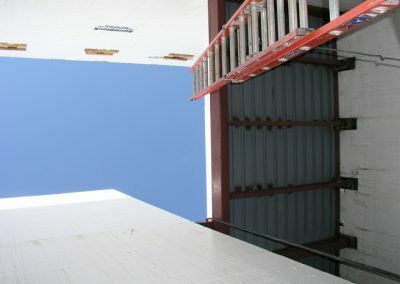 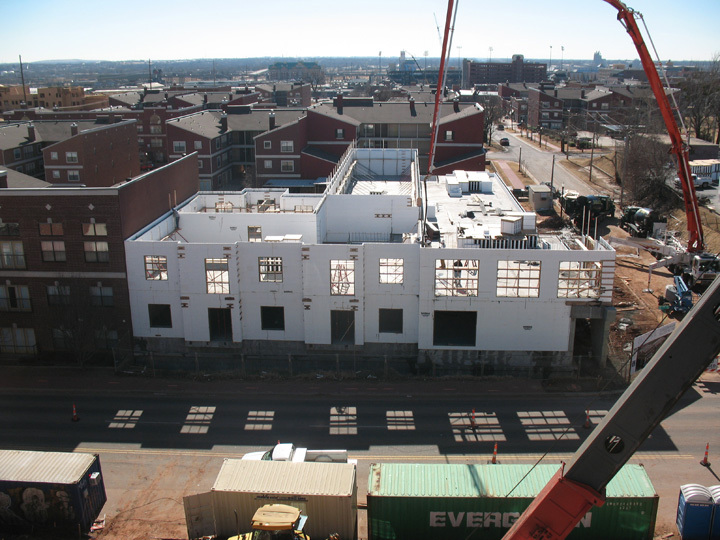 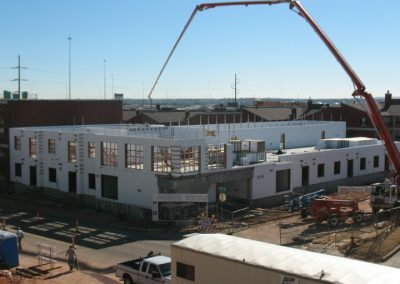 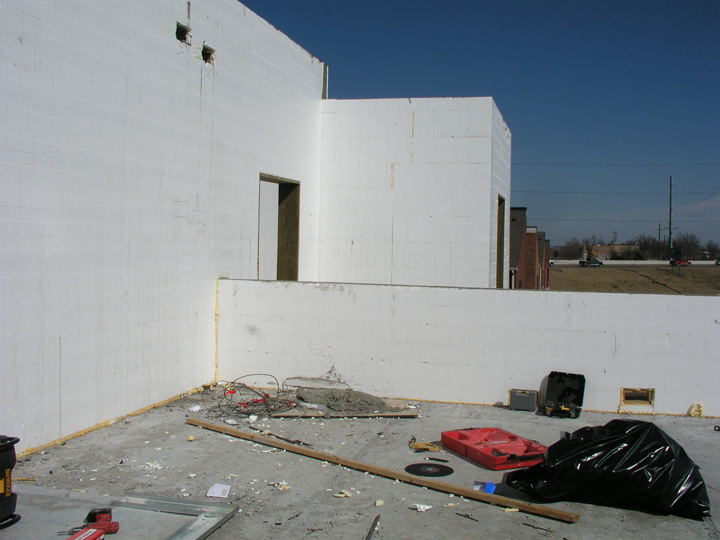 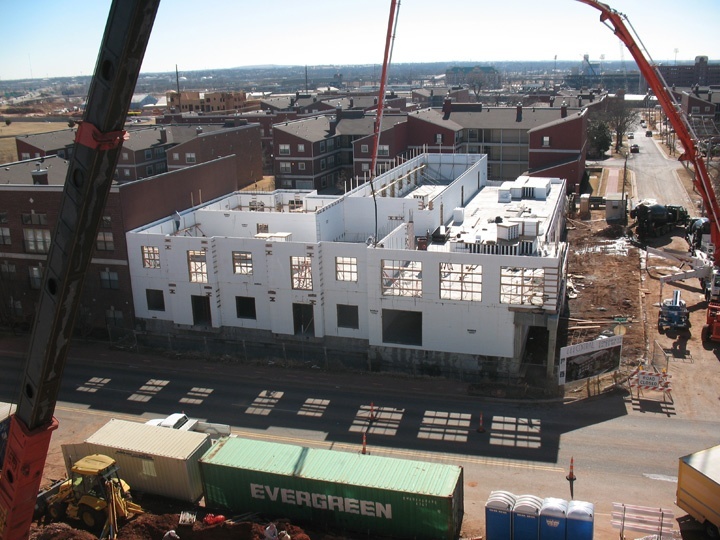 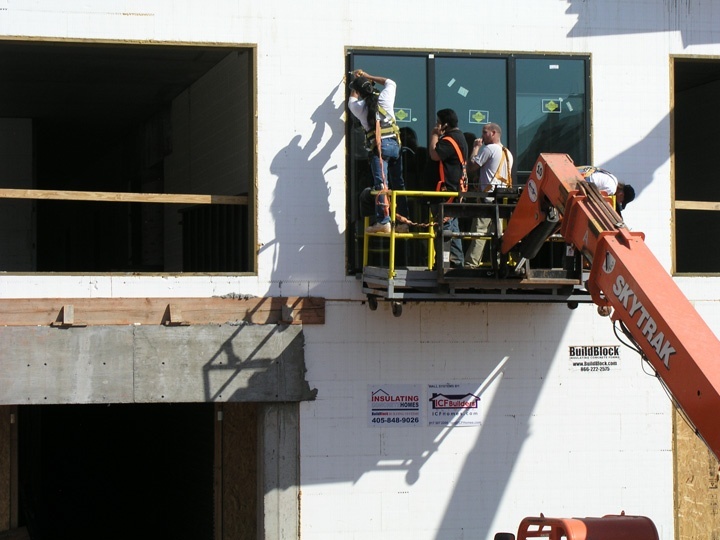 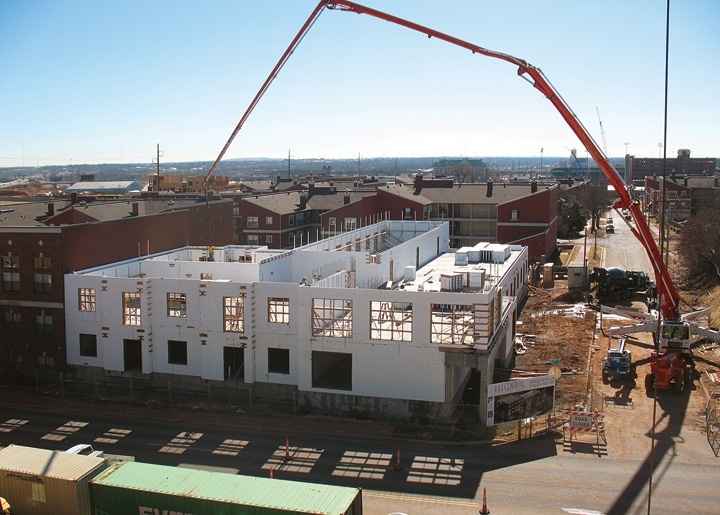 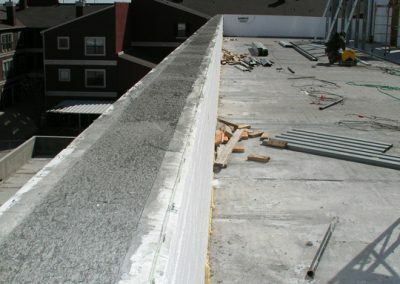 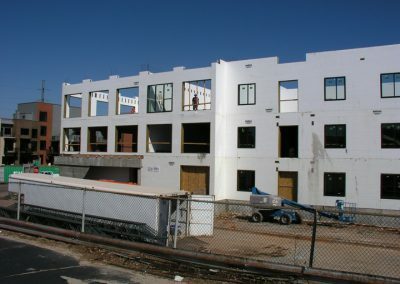 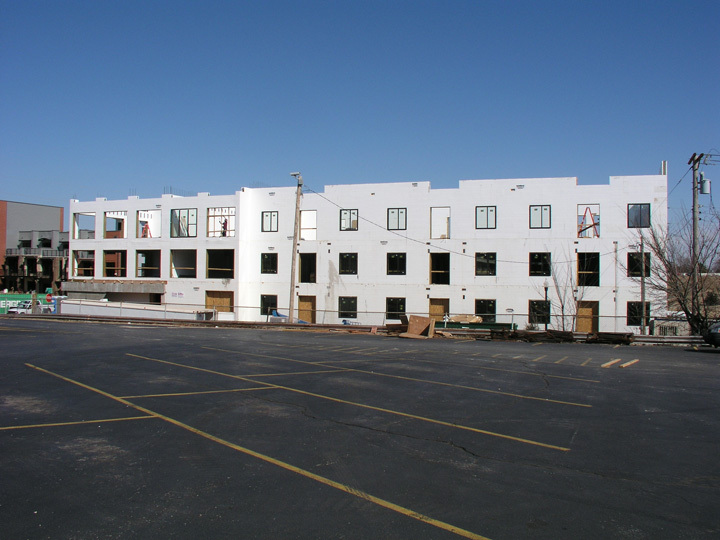 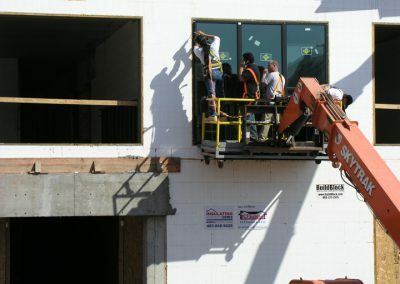 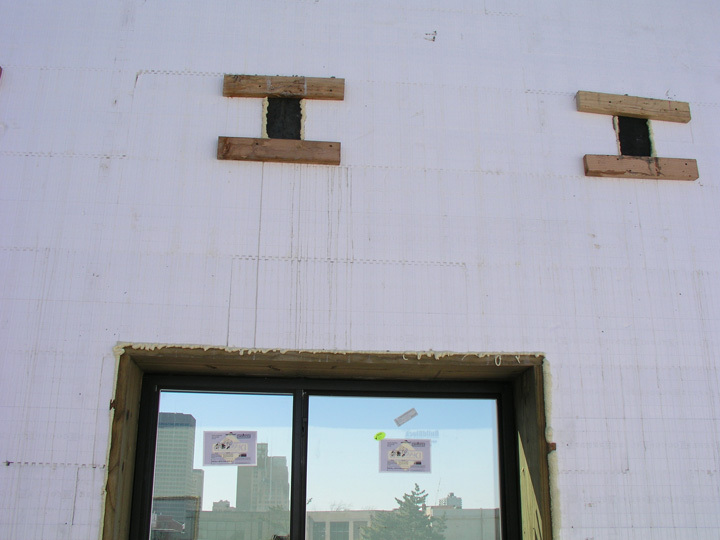 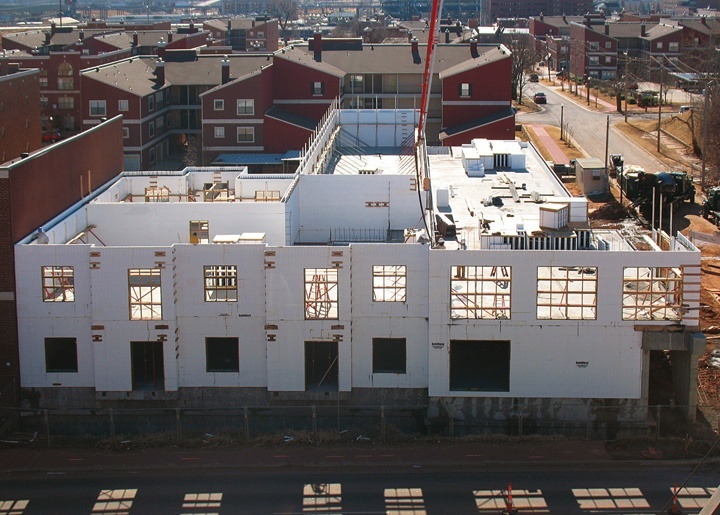 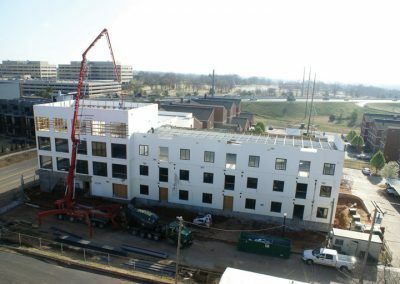 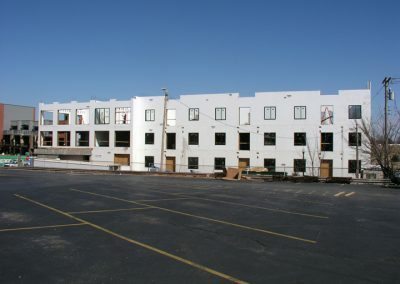 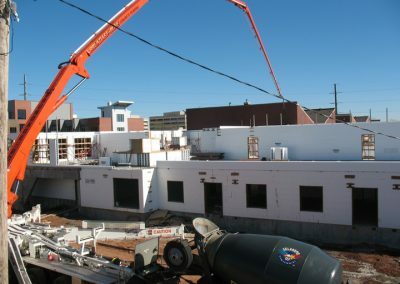 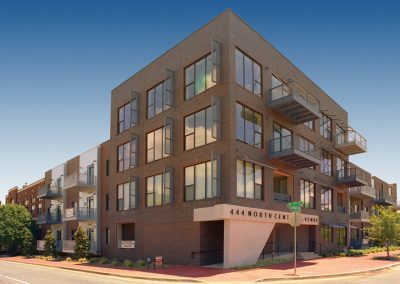 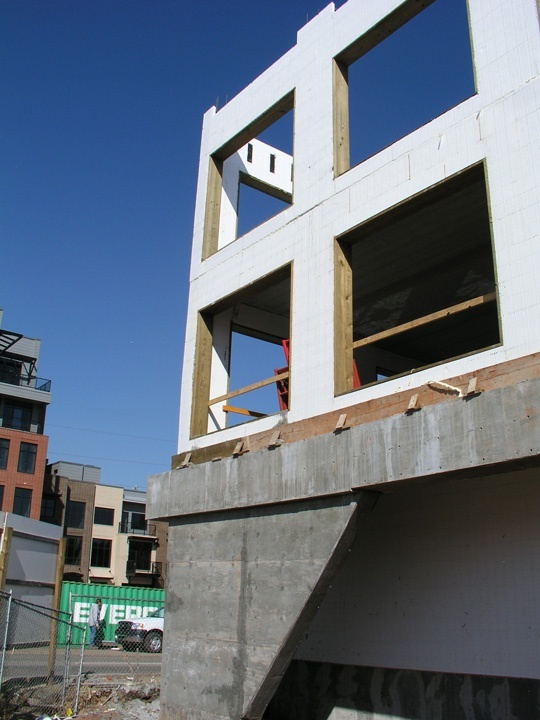 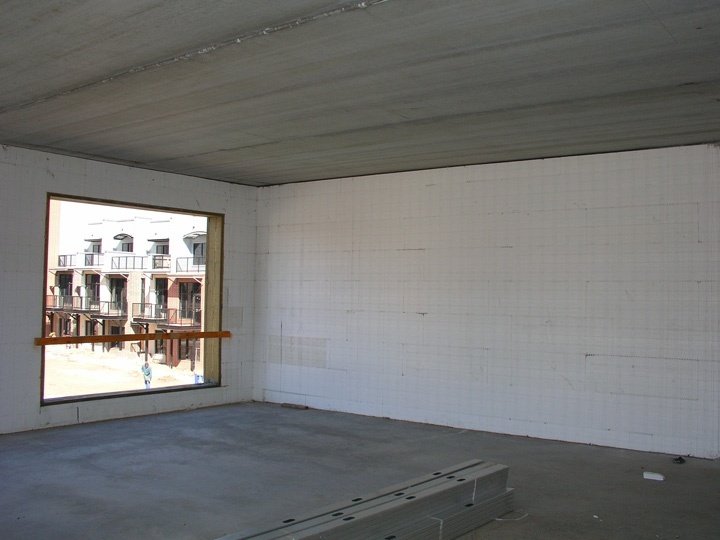 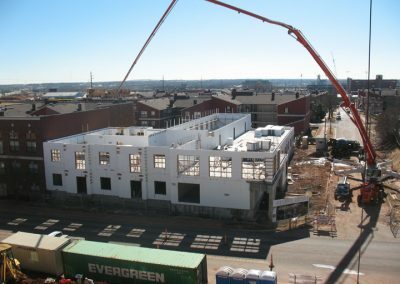 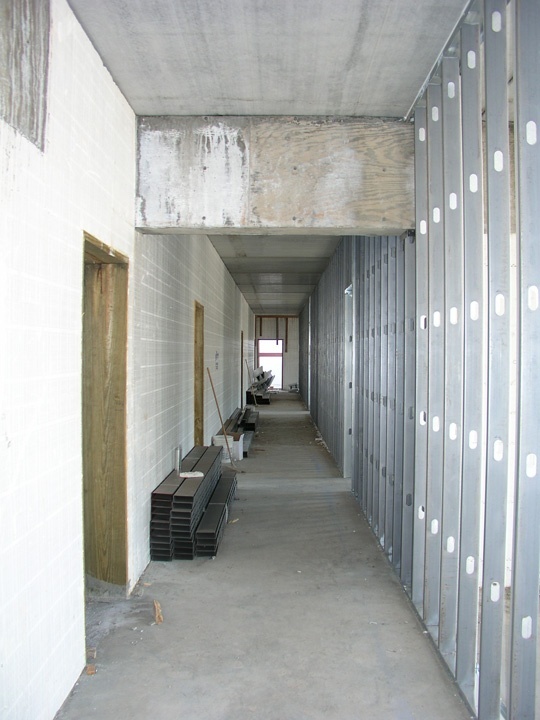 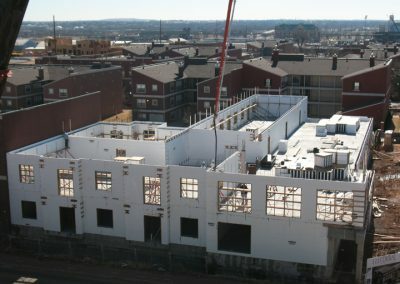 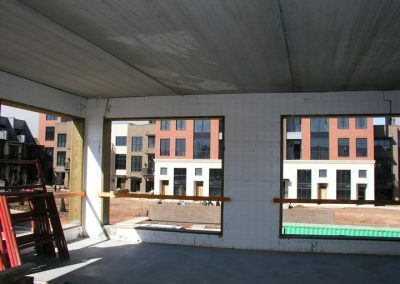 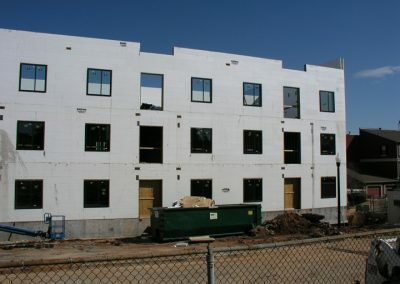 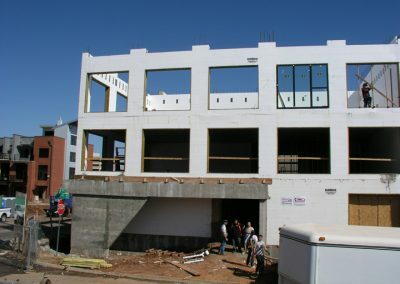 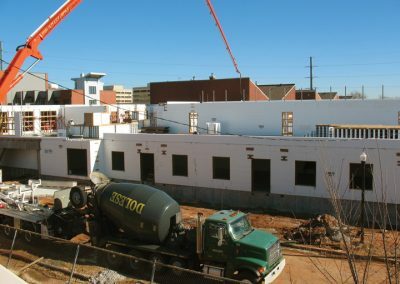 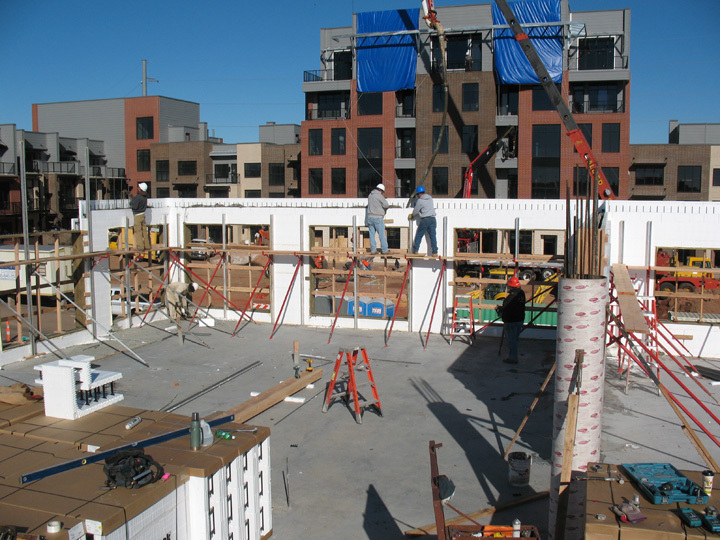 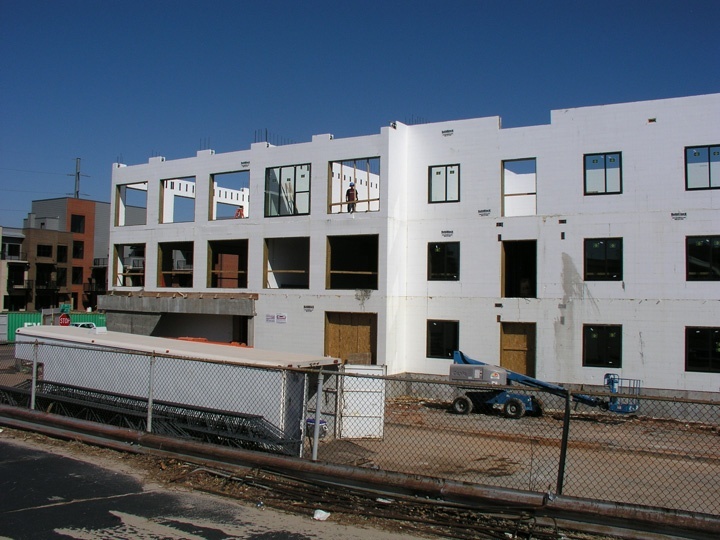 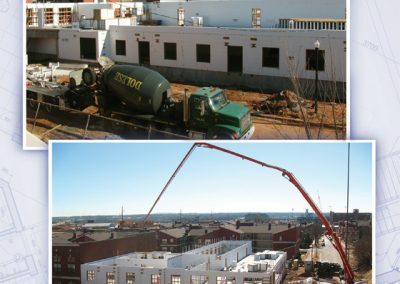 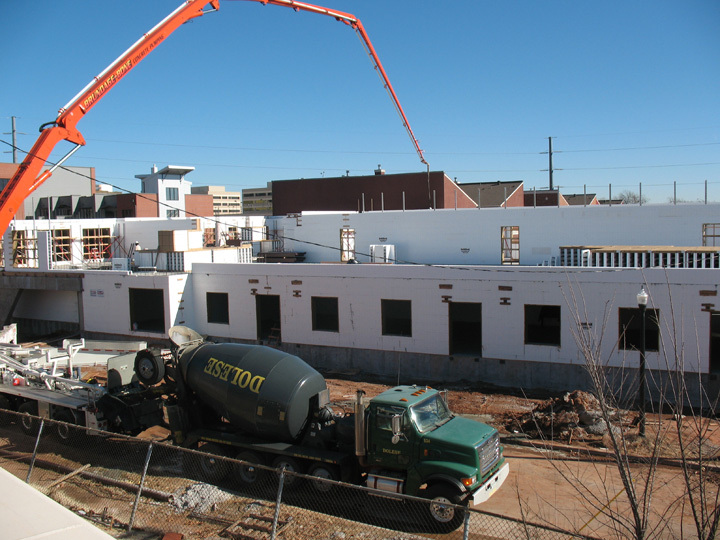 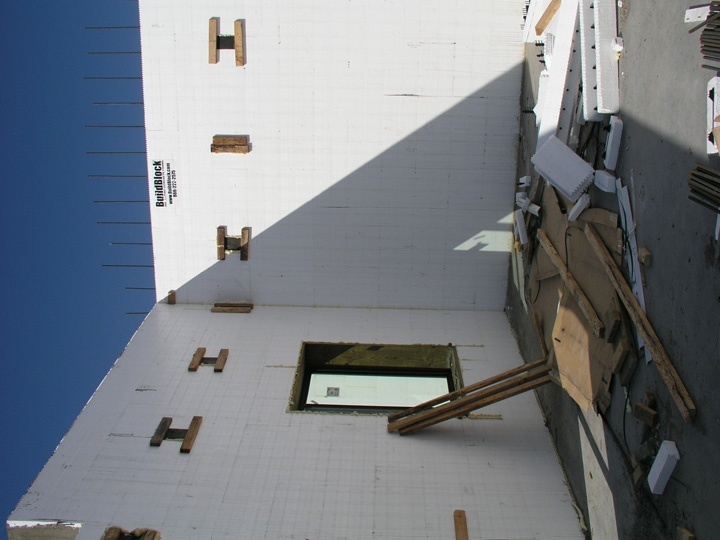 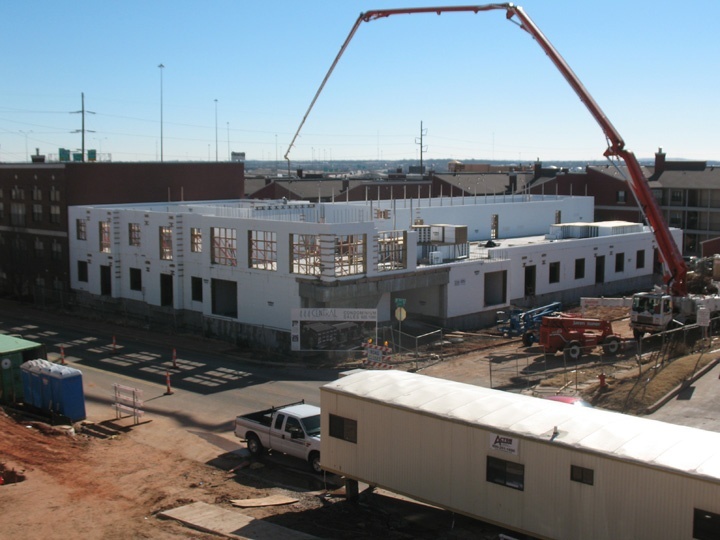 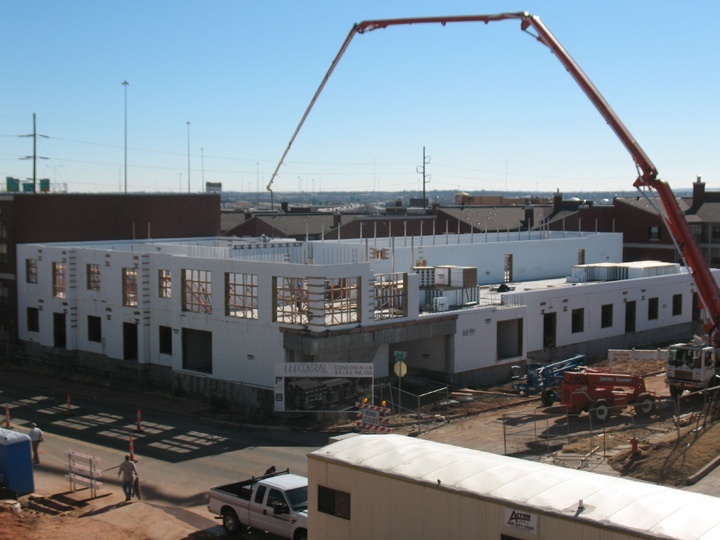 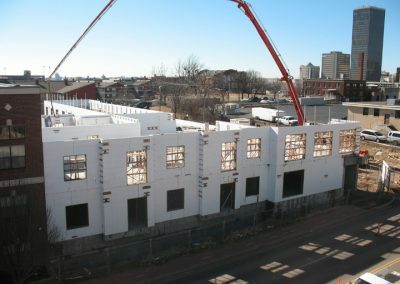 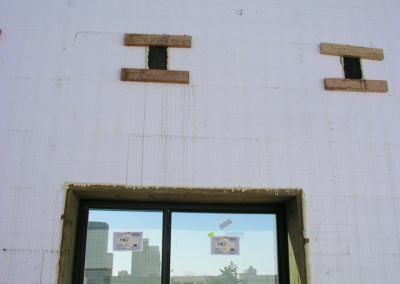 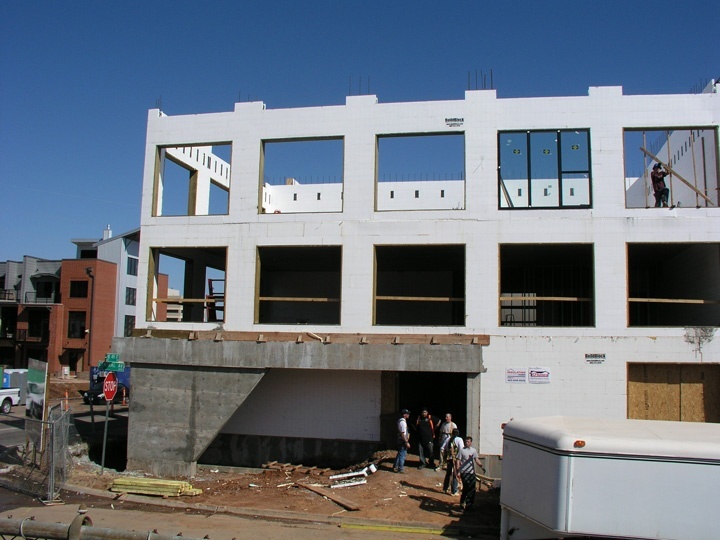 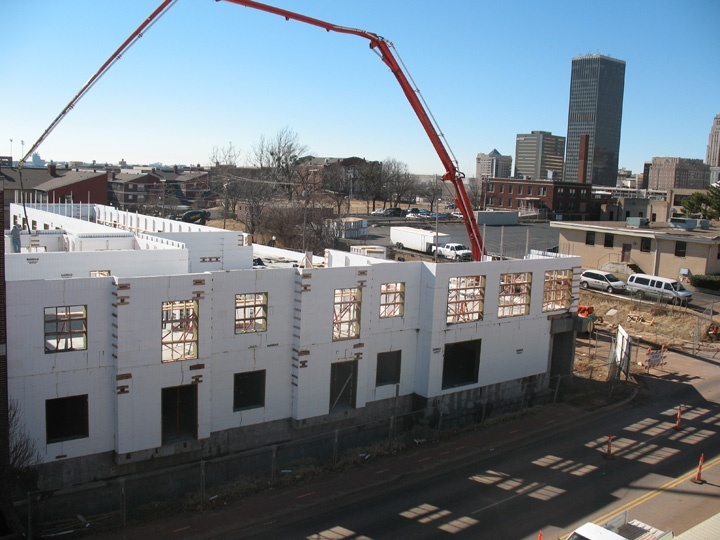 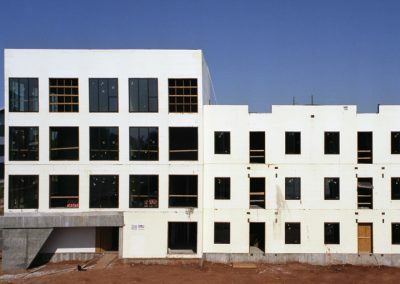 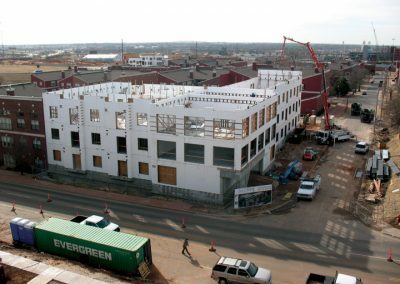 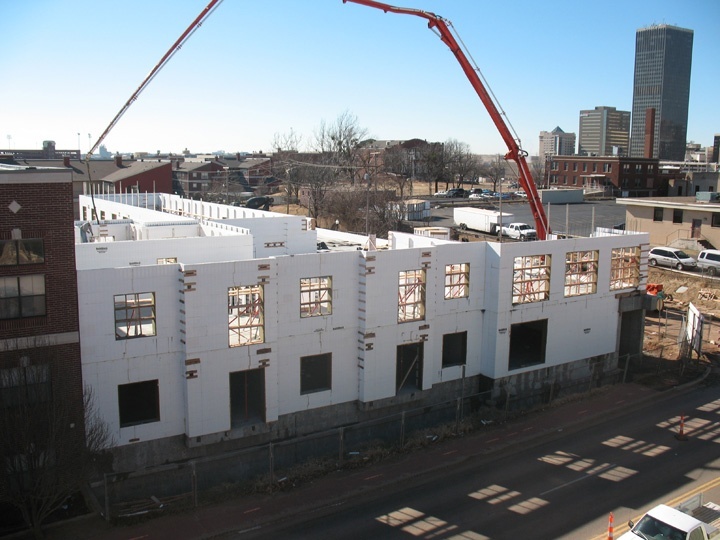 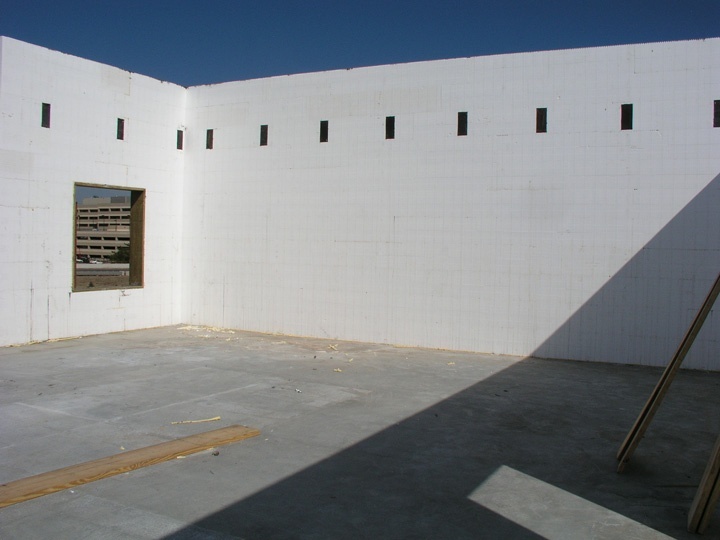 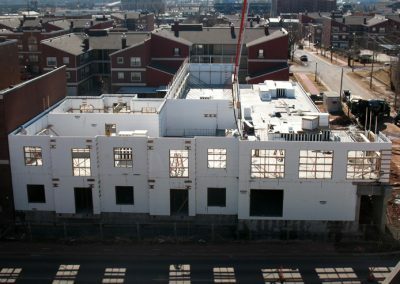 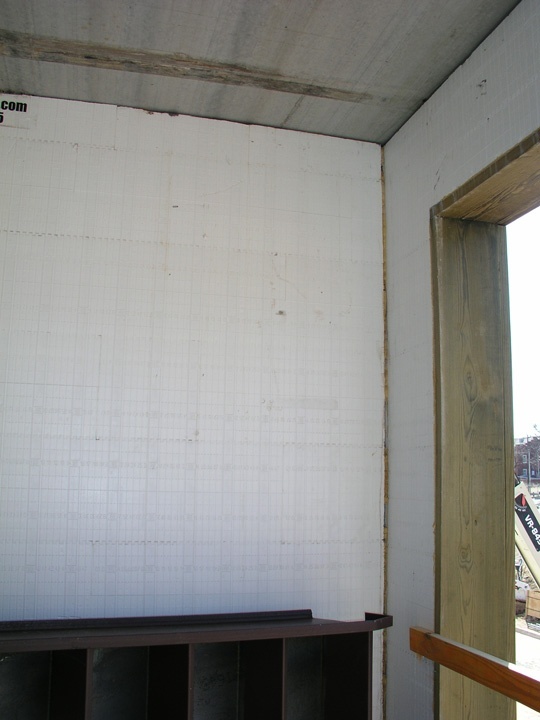 Built in Oklahoma City’s Bricktown district, the project used ICFs for all exterior walls, as well as corridors, elevator shafts and stairwells. 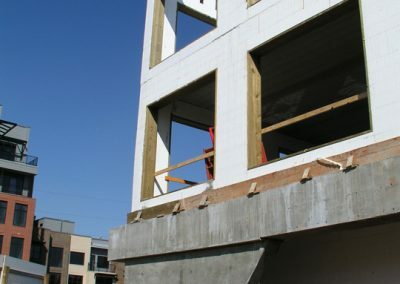 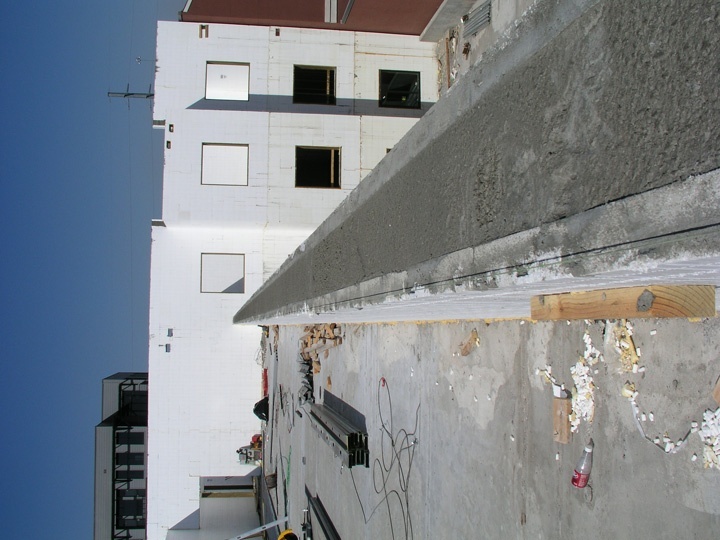 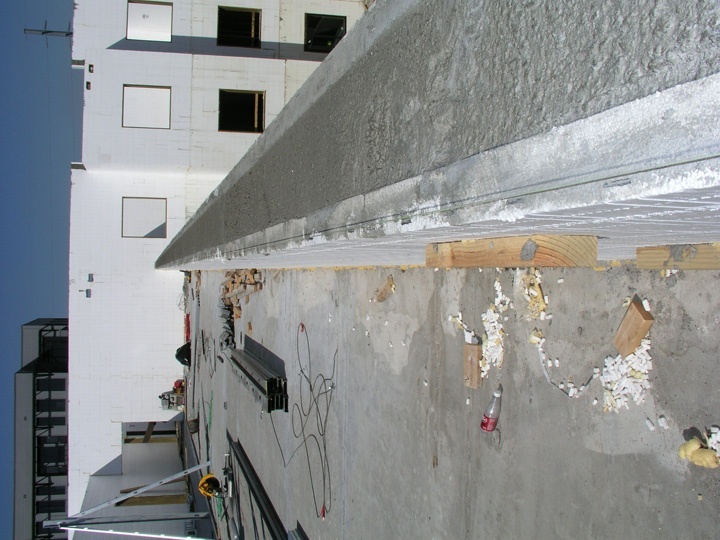 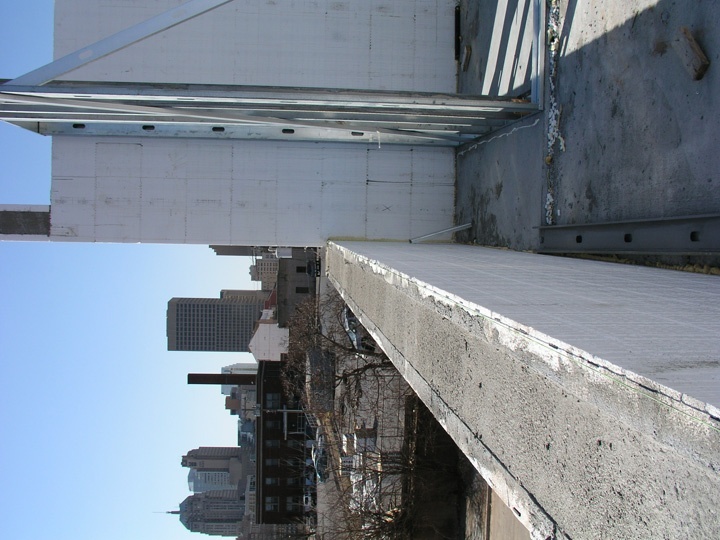 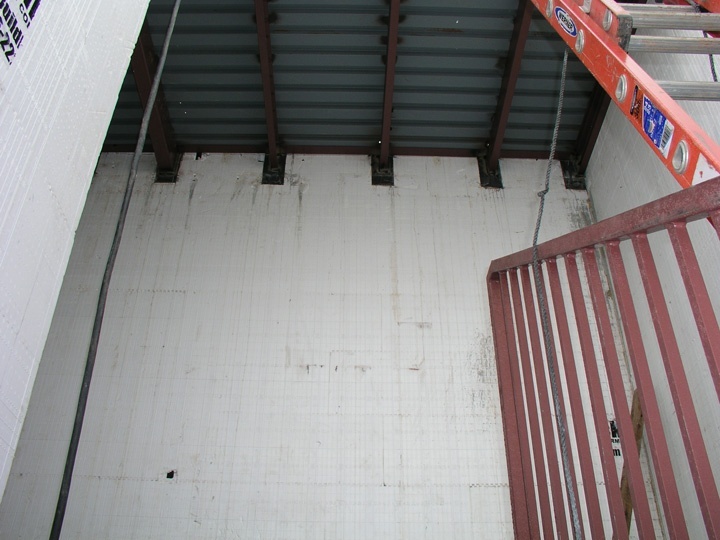 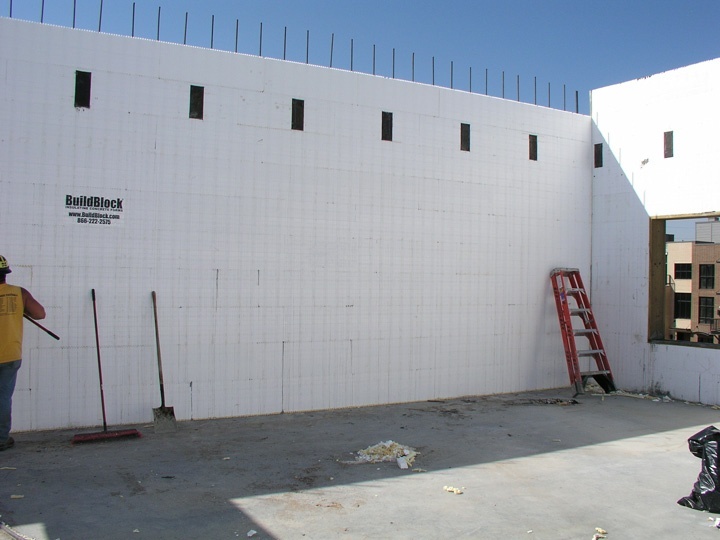 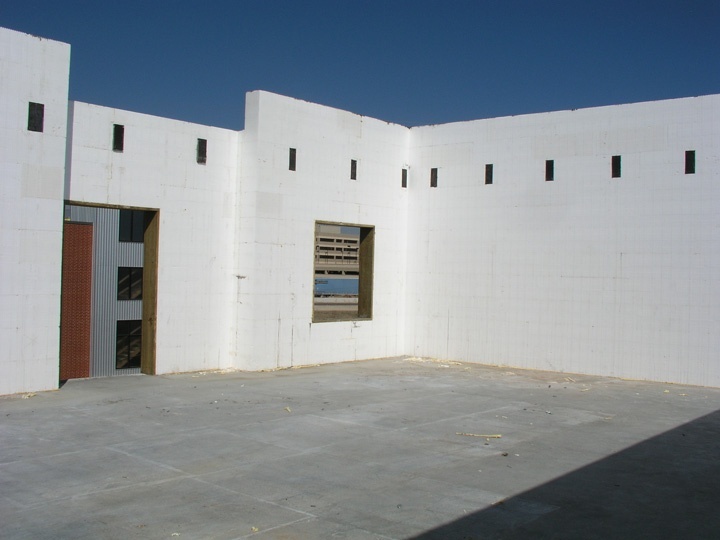 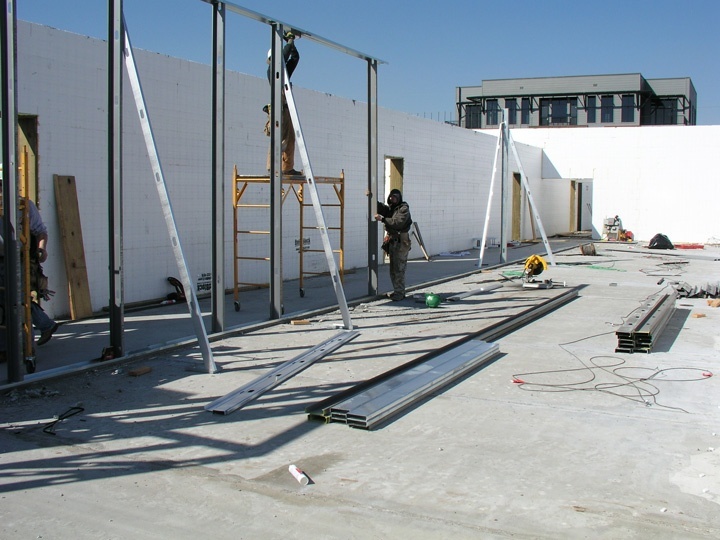 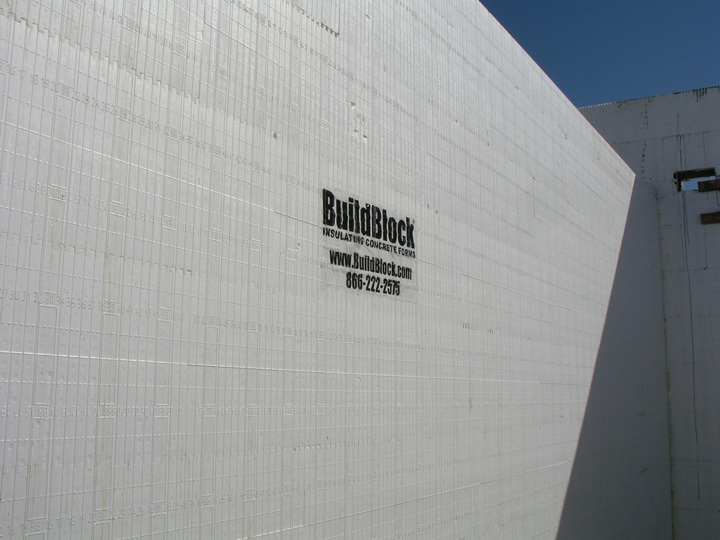 Stocking the material onsite was a challenge, as one wall went up literally inches from the neighboring building, and two other sides were within a few feet of heavily trafficked roads. 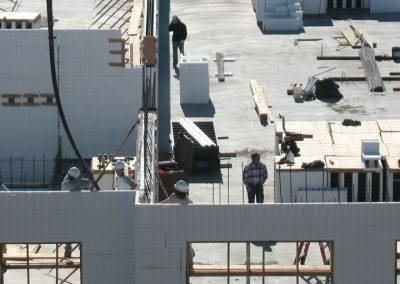 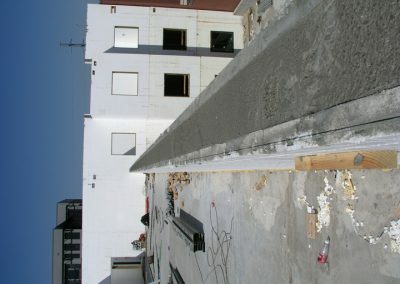 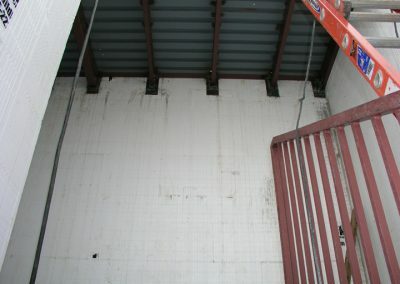 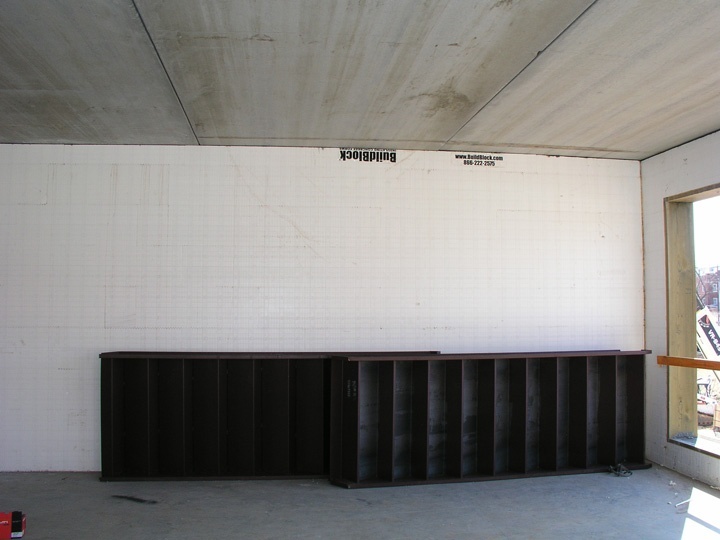 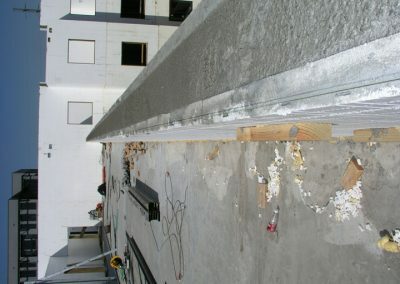 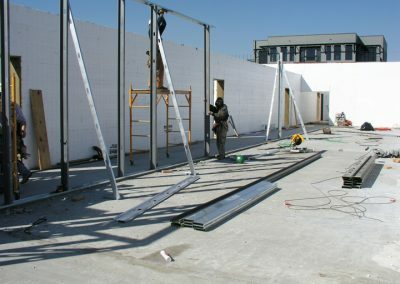 The jobsite was so tight, in fact, that the road was closed every time they had a pour or hoisted the precast floor slabs into place. 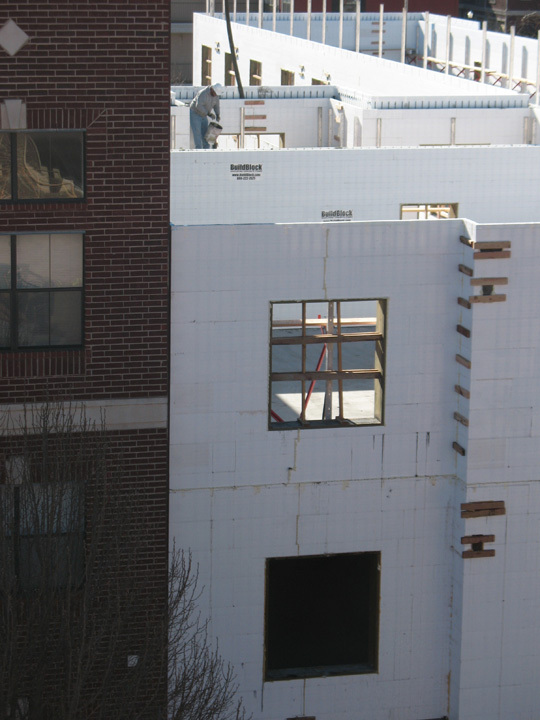 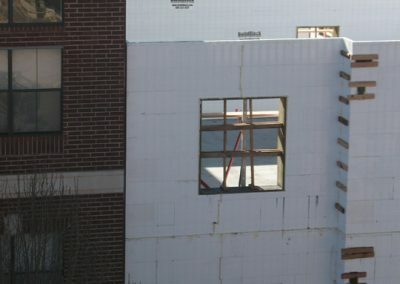 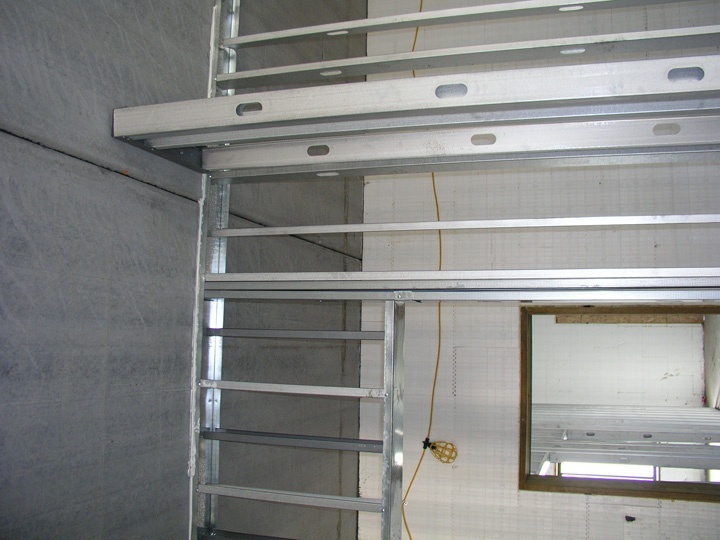 With dozens of windows and an in-slab geothermal heat system, the construction crew faced a tough challenge. 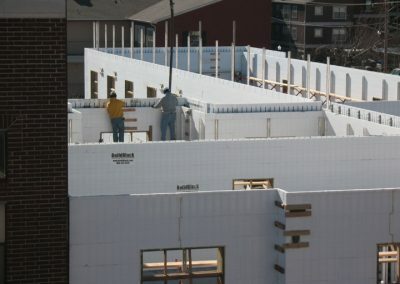 Poor weather forced them to start six weeks behind schedule, too. 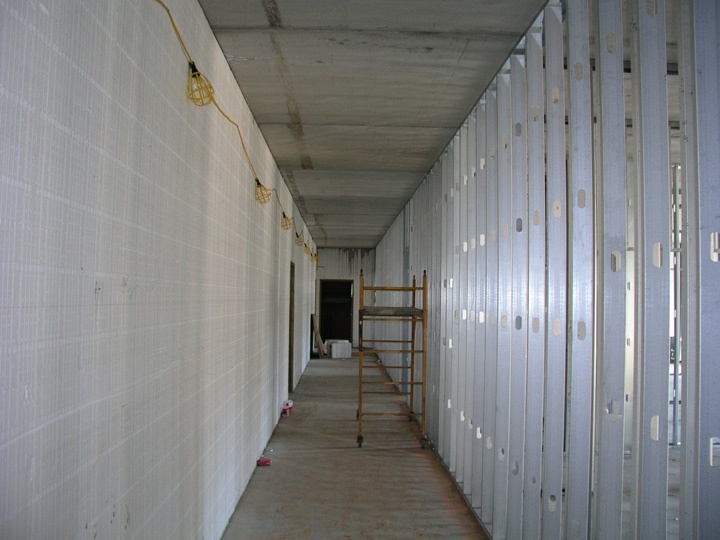 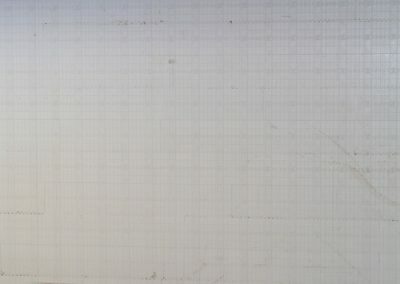 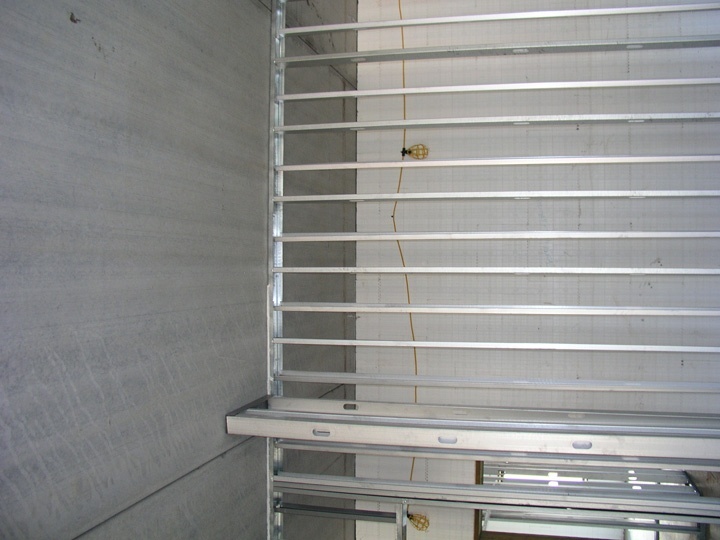 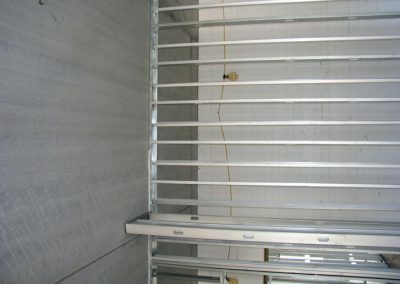 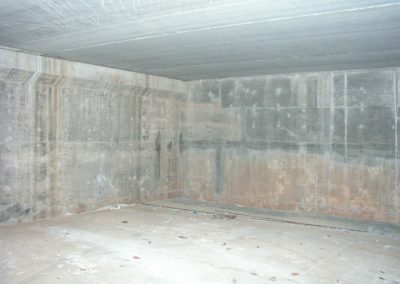 But they persevered through high winds and heavy rains and got the project completed on time. 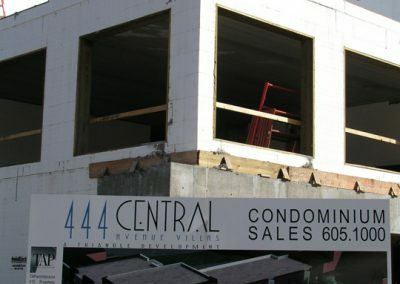 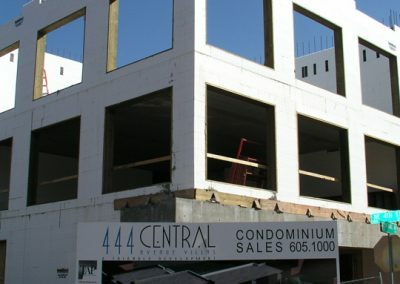 occupants enjoy their classy, efficient condos. 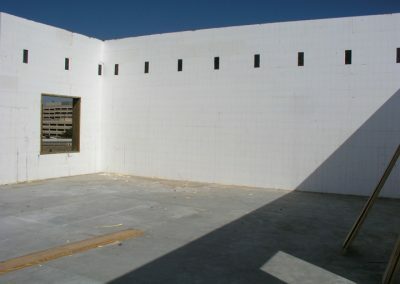 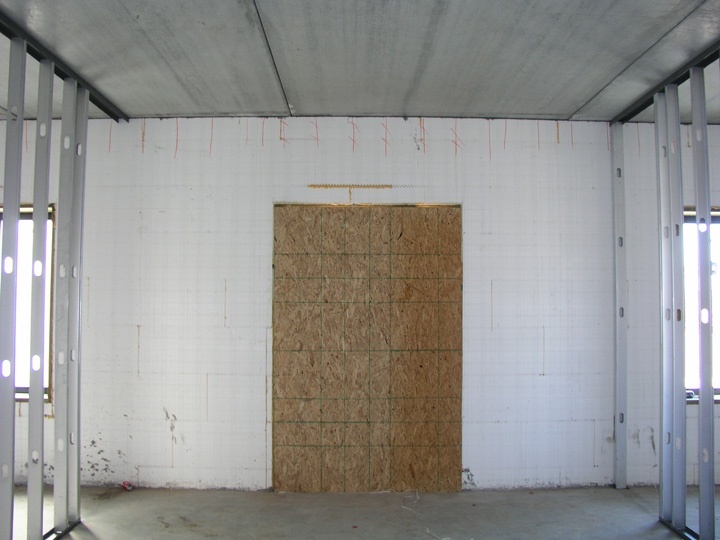 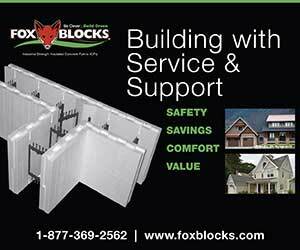 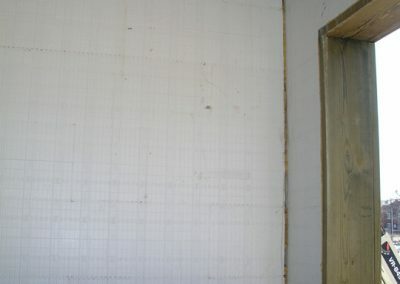 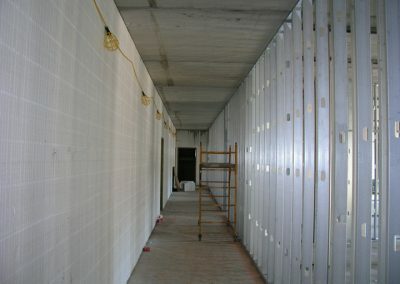 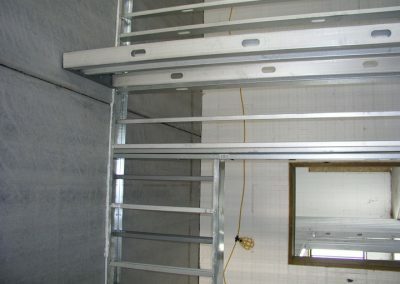 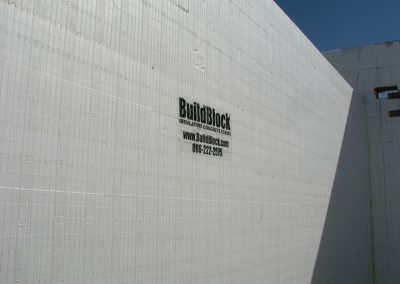 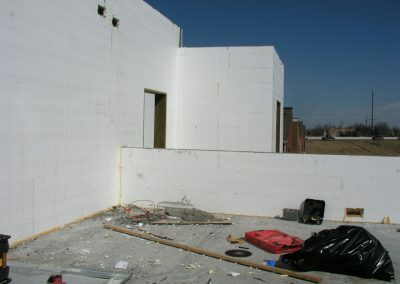 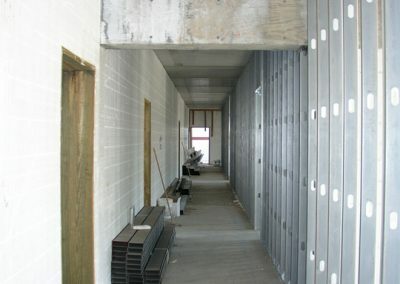 The foam wall system makes them surprisingly quiet, despite the nearby tenants and the highways and rail lines less than a quarter mile away. 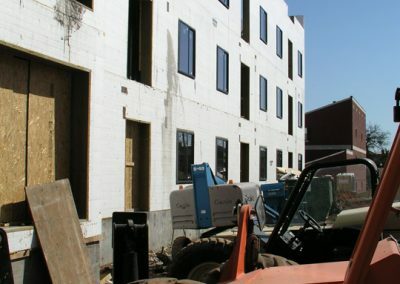 Or perhaps they sleep better because they know the recycled carpet, bamboo flooring, and fly ash cement has minimized the carbon footprint of their home.